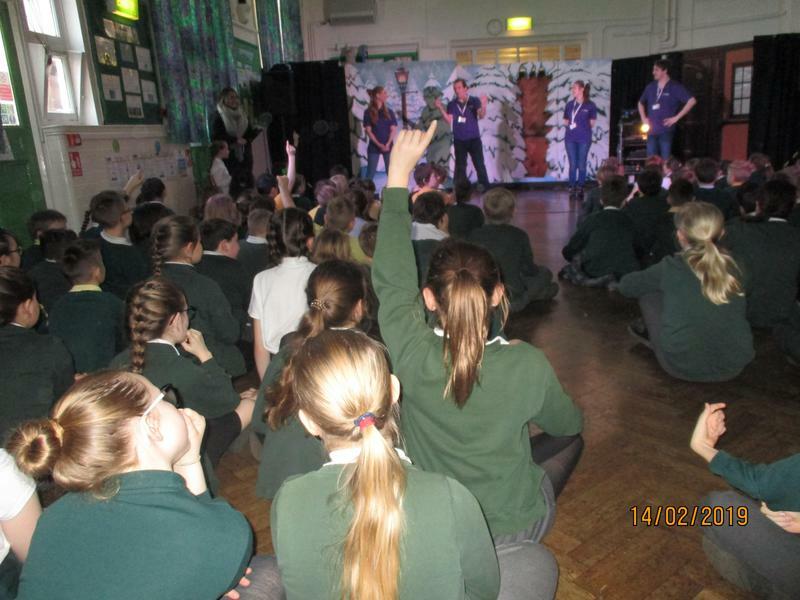 In February we held our third Creative Week! 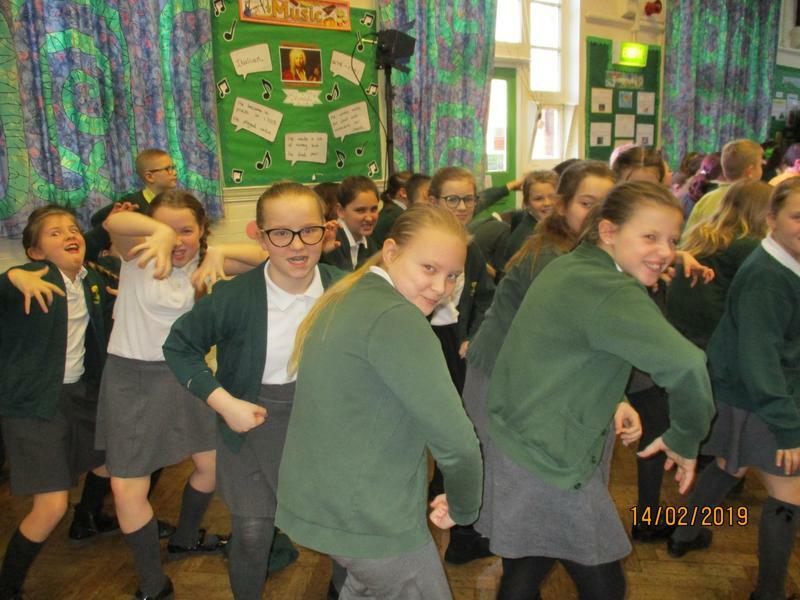 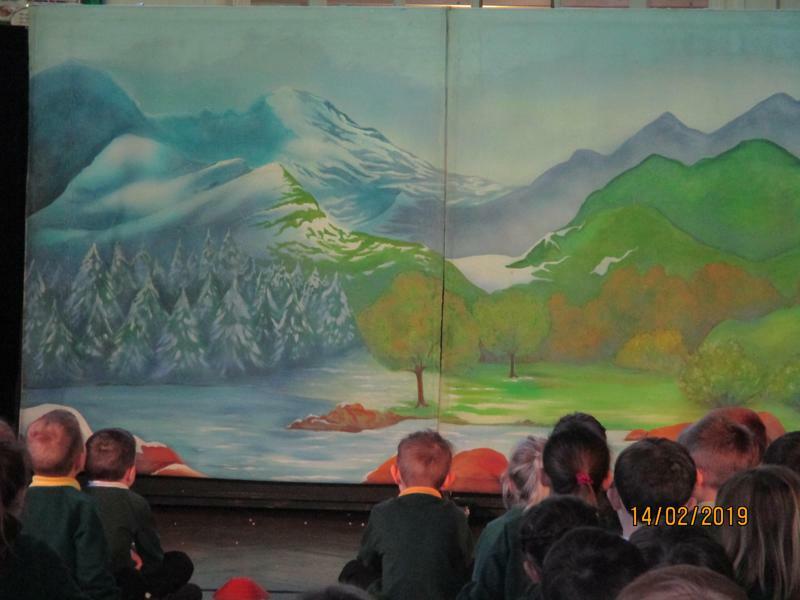 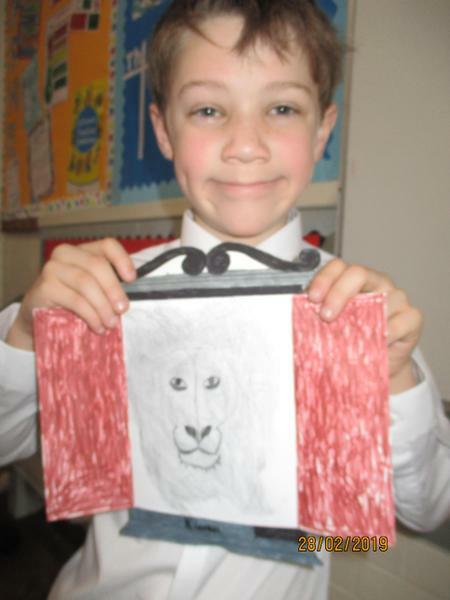 Each day, lessons in every class focused on arts activities, including art, drama, dance, poetry and music. 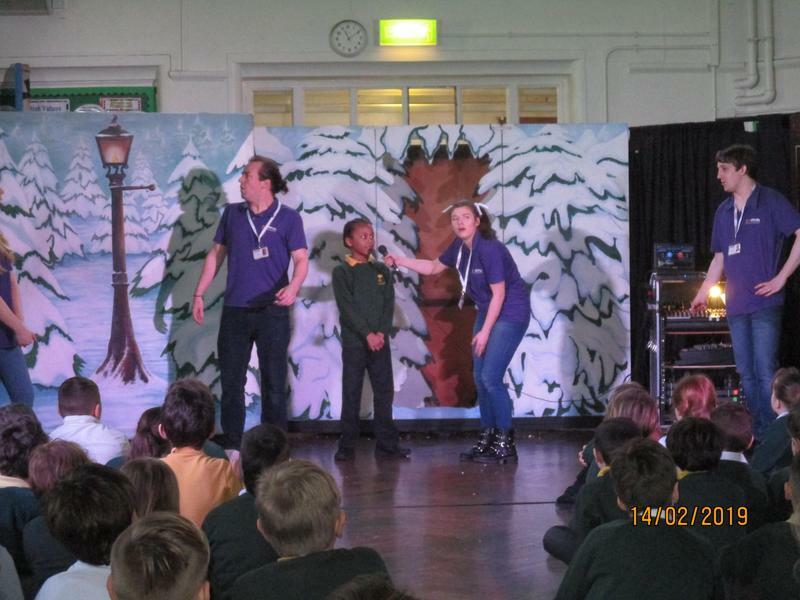 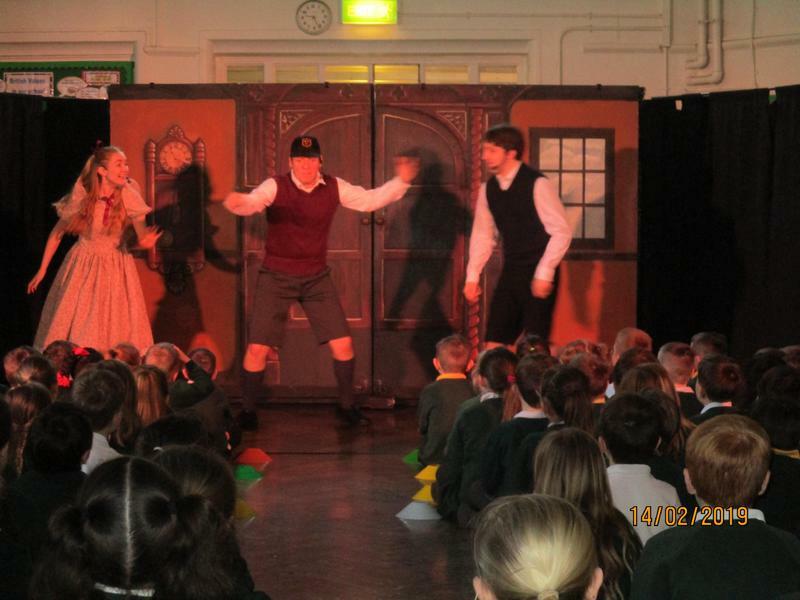 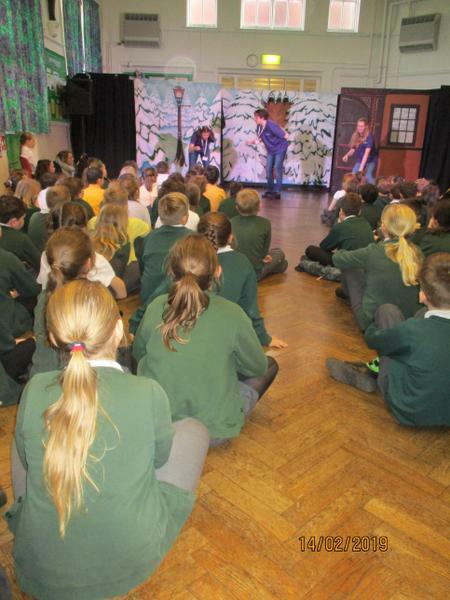 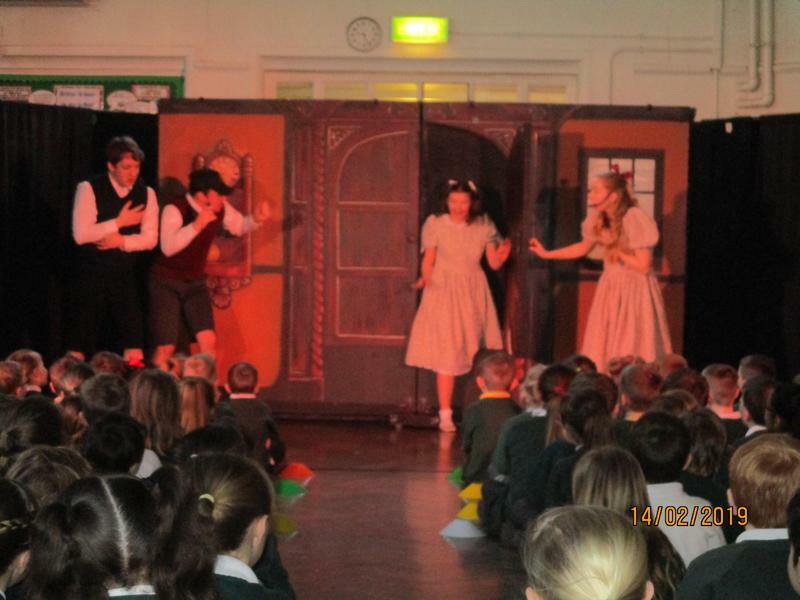 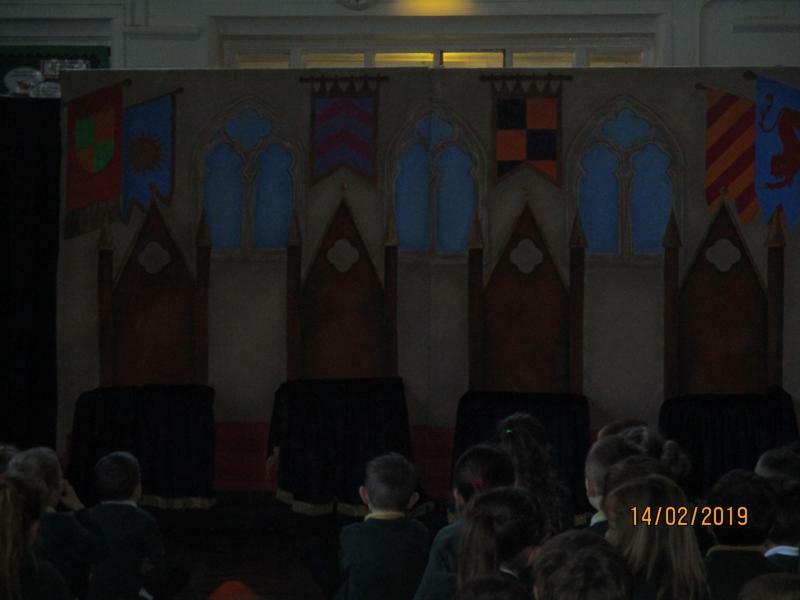 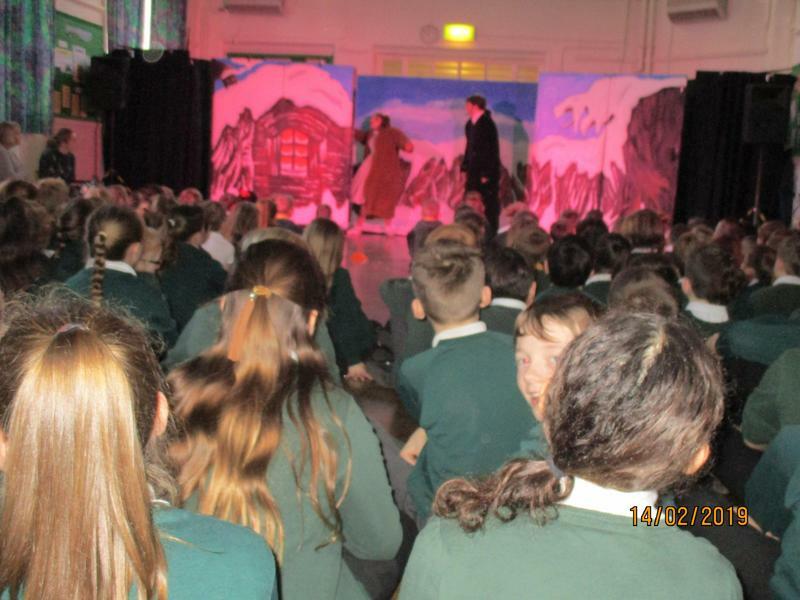 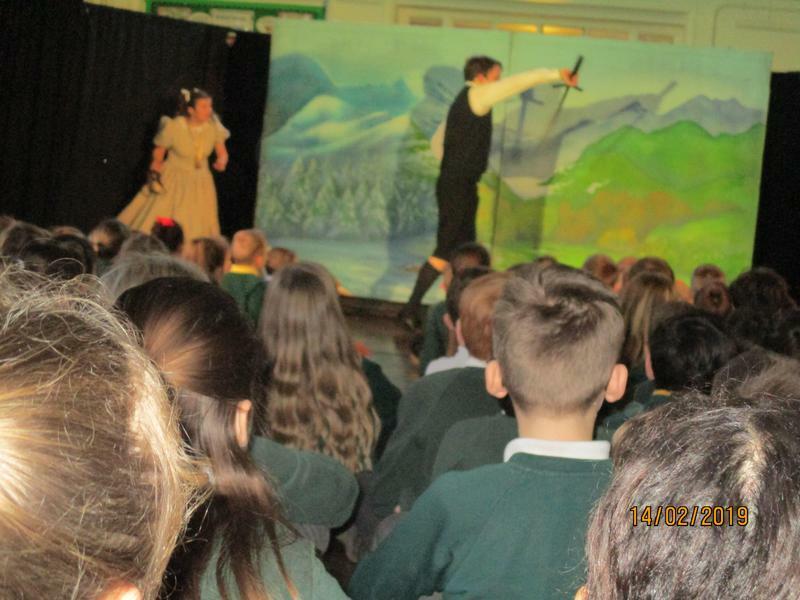 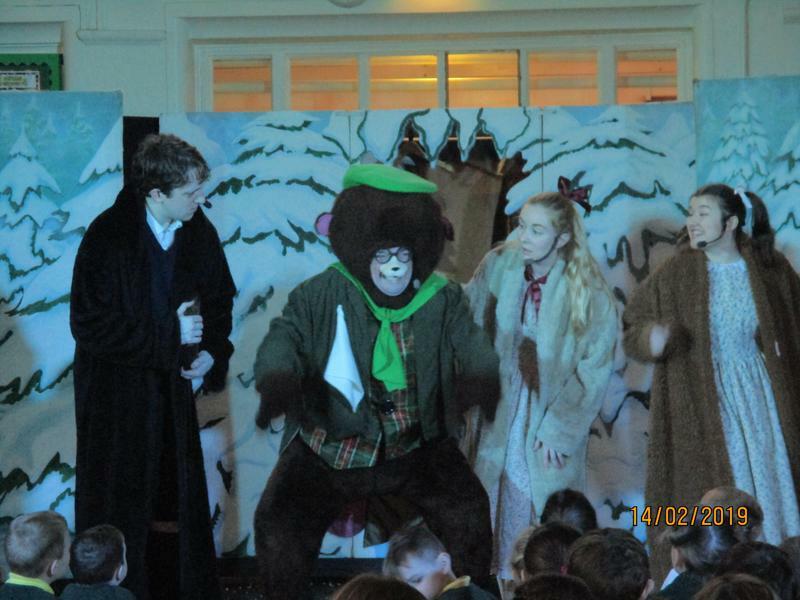 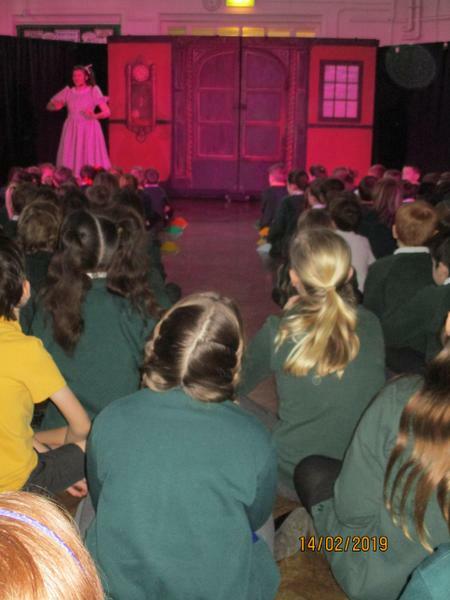 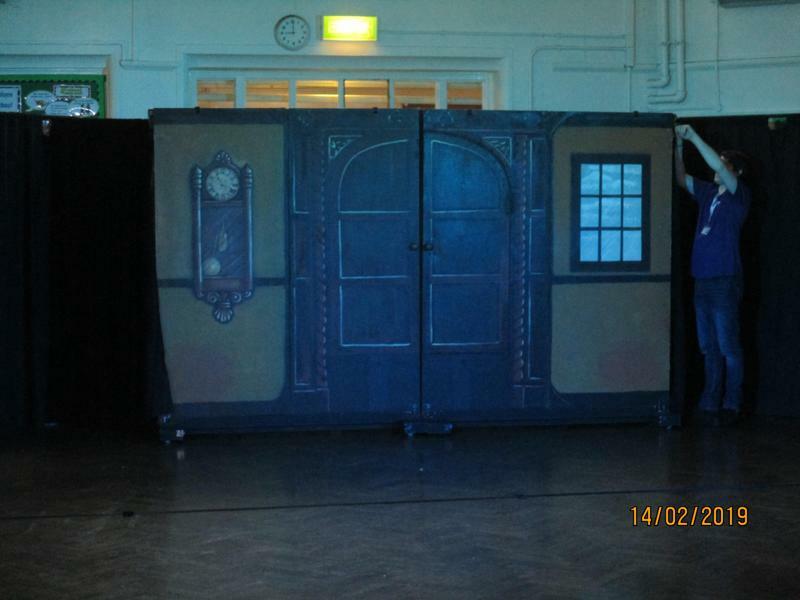 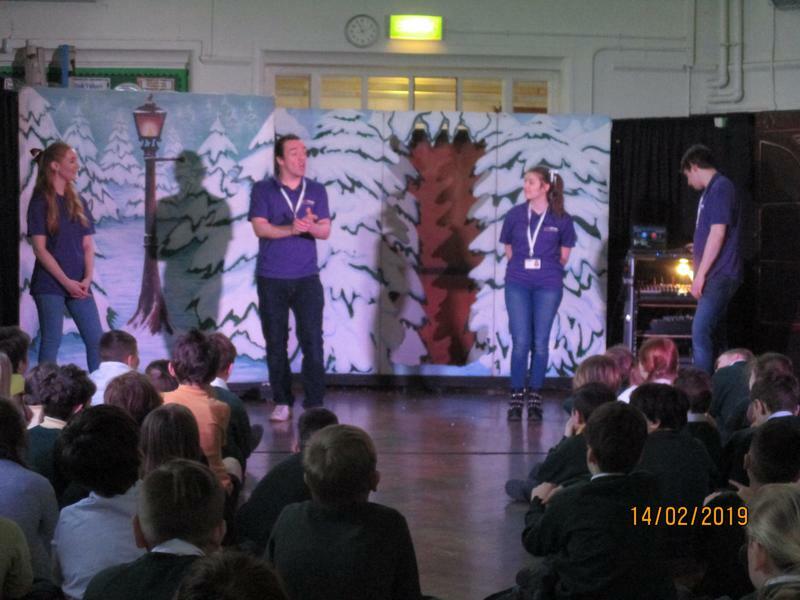 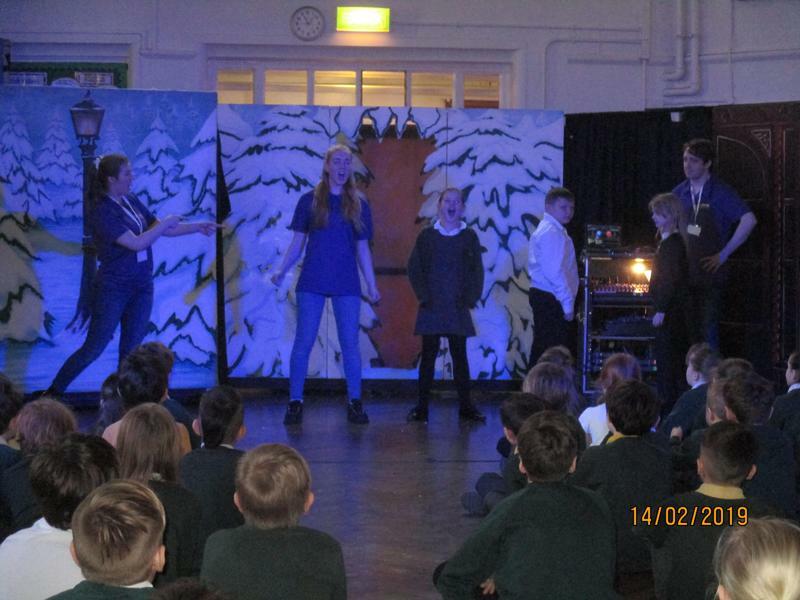 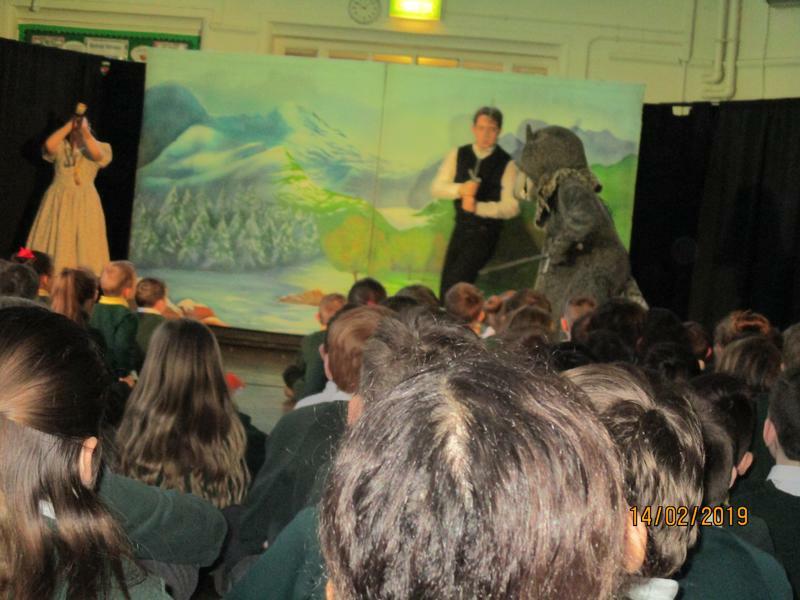 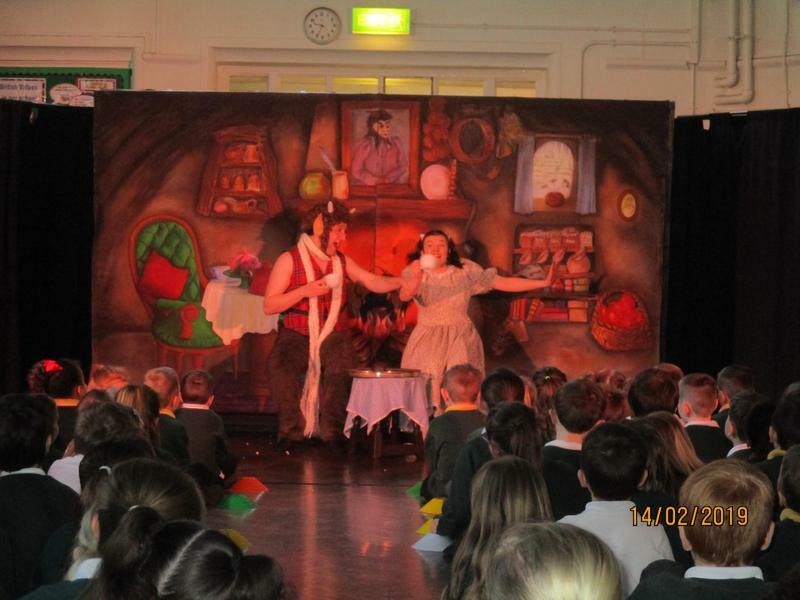 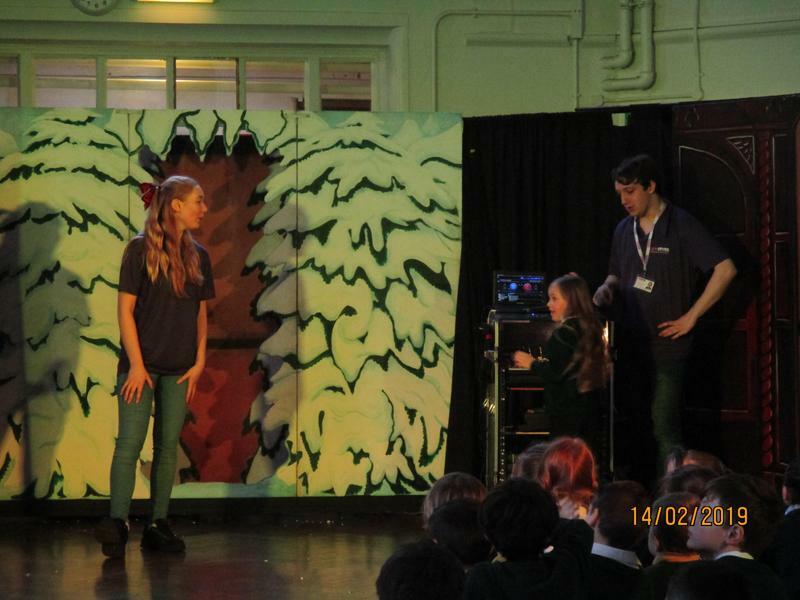 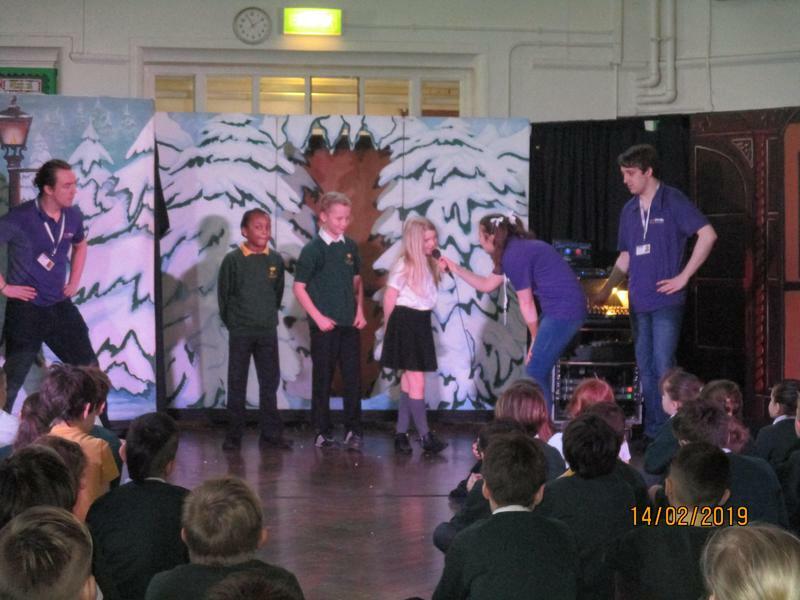 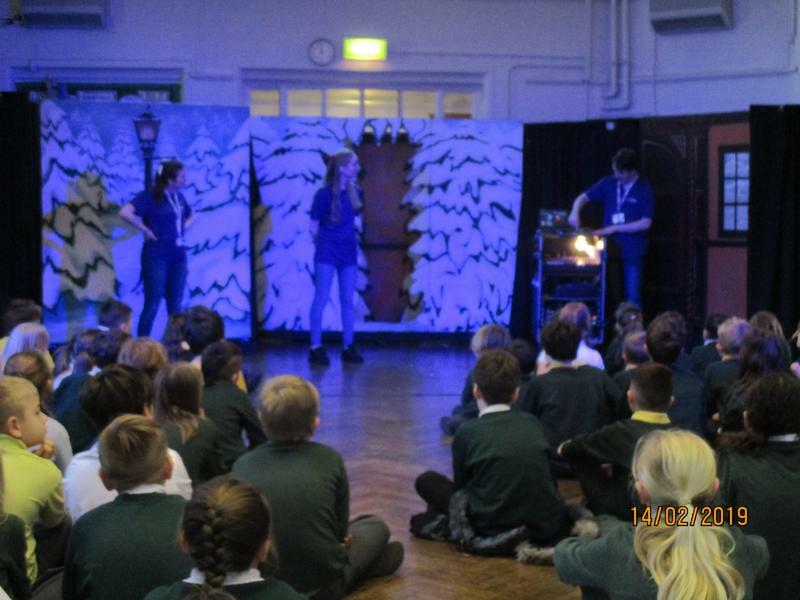 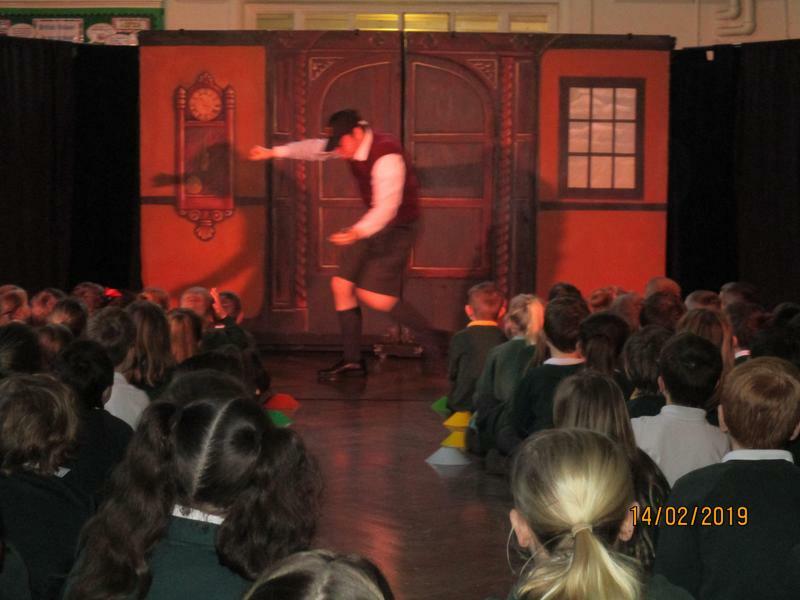 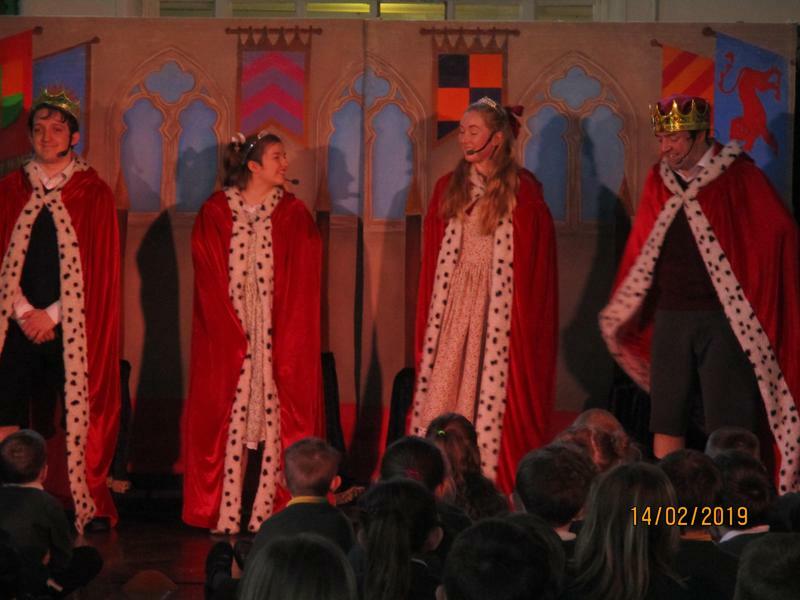 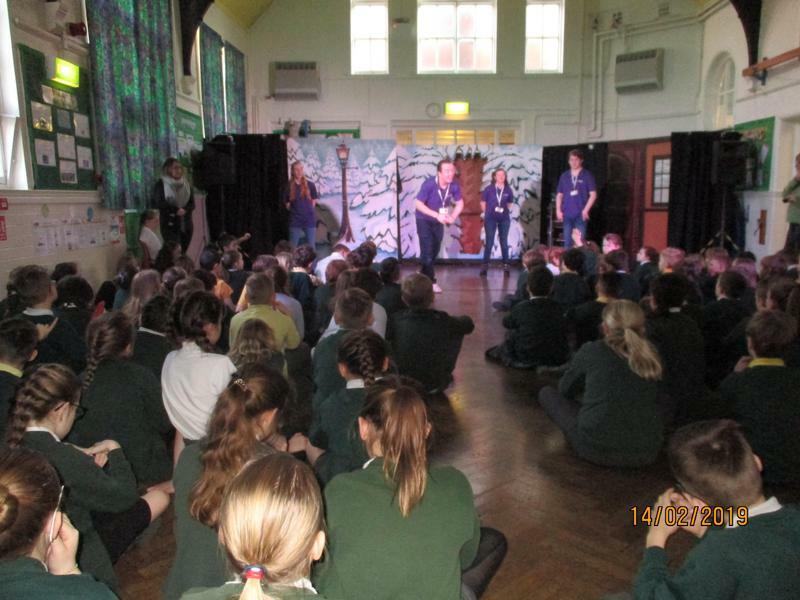 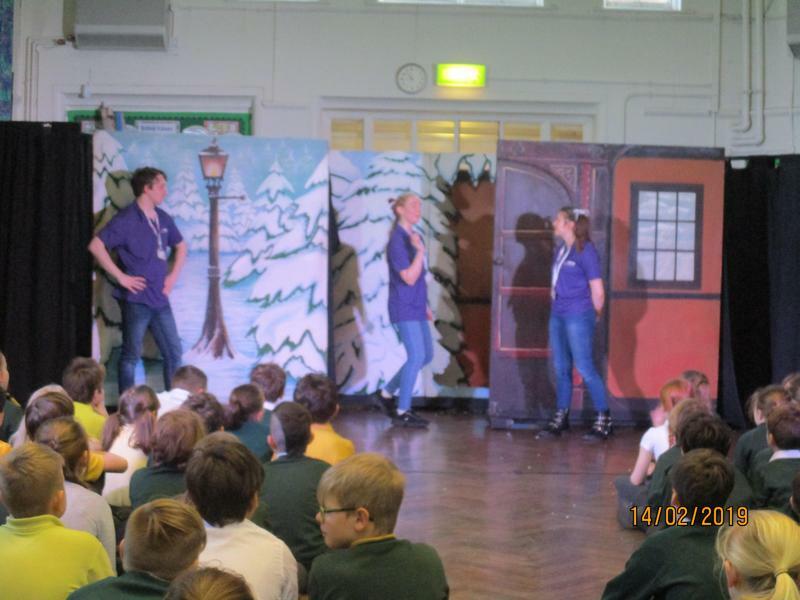 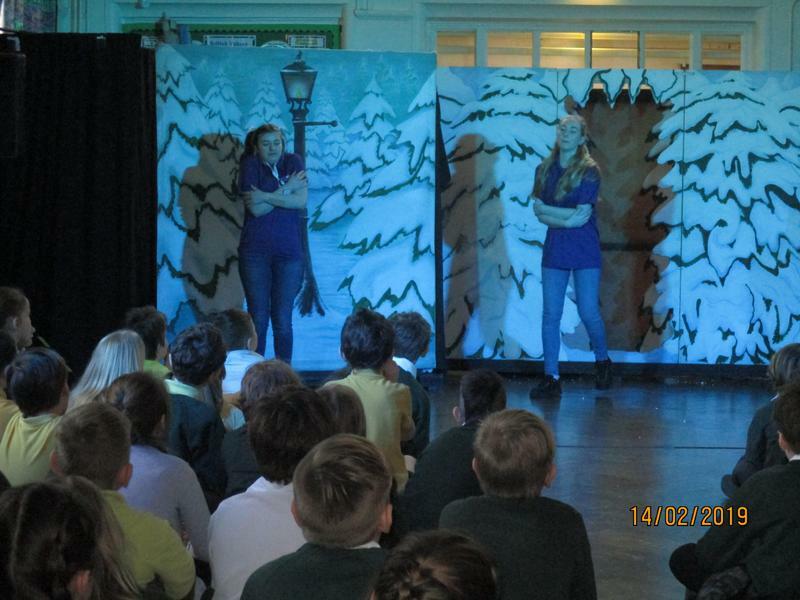 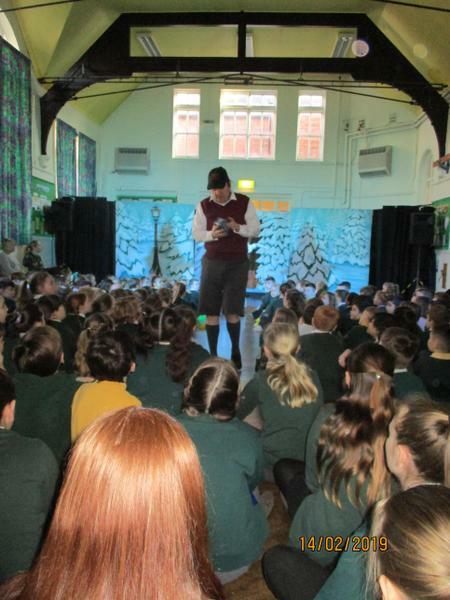 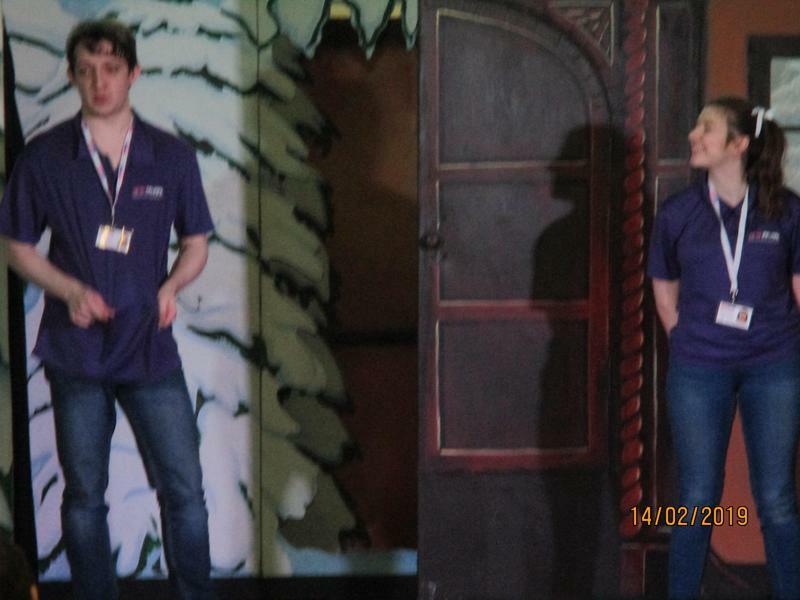 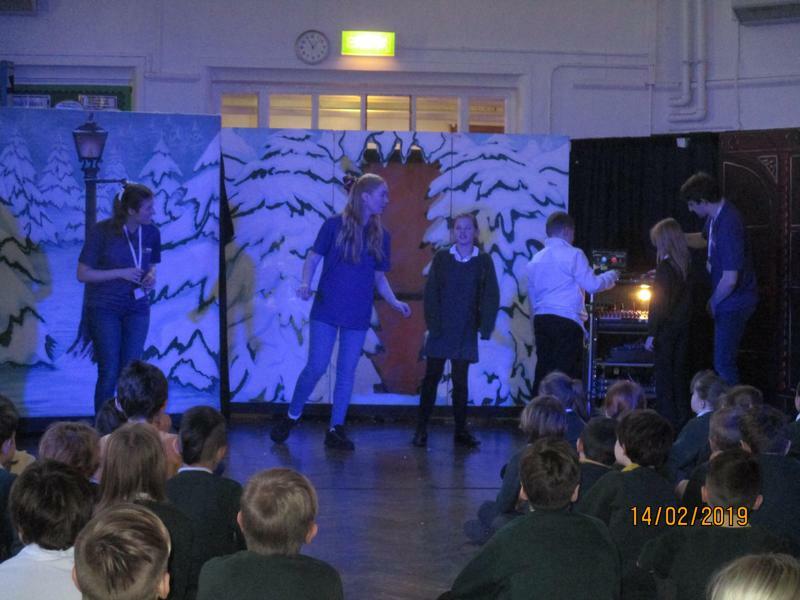 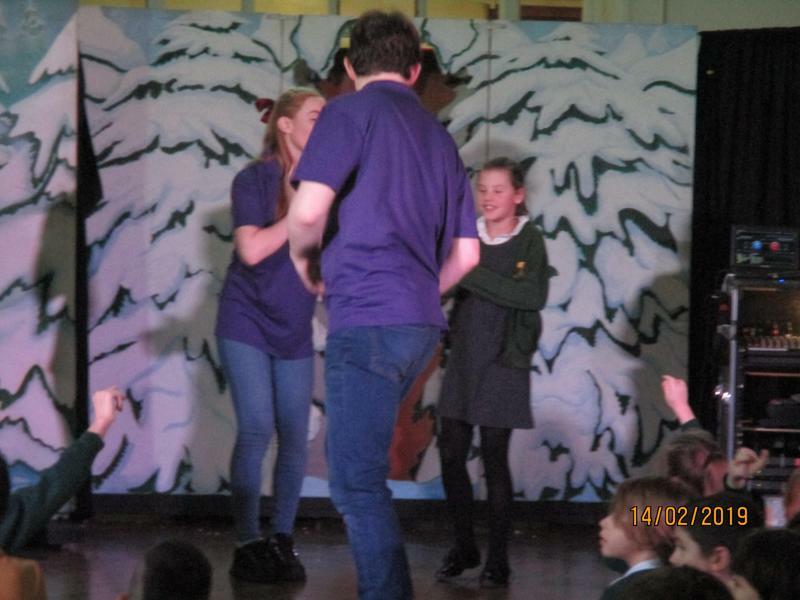 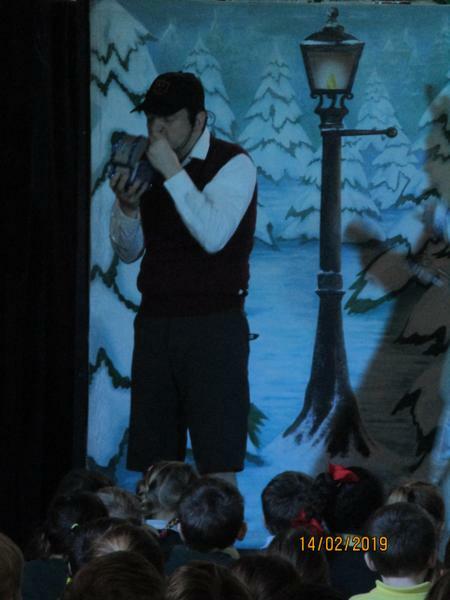 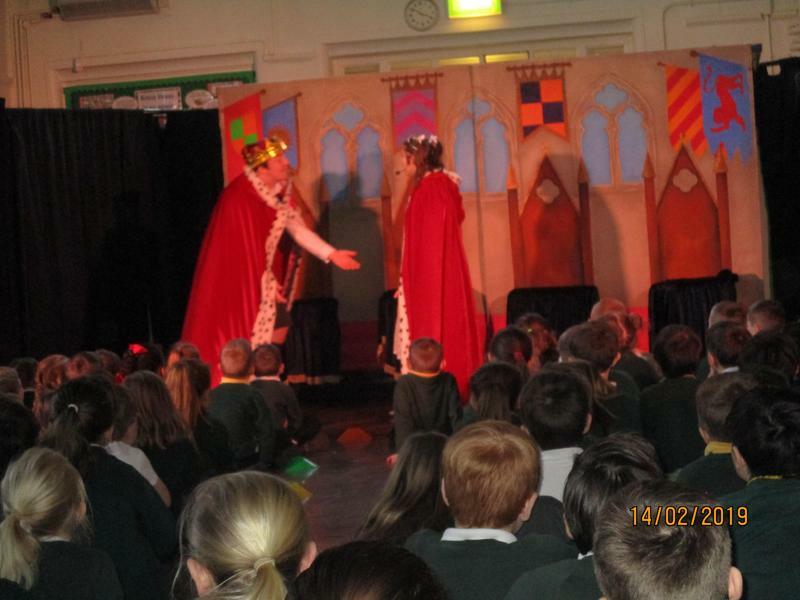 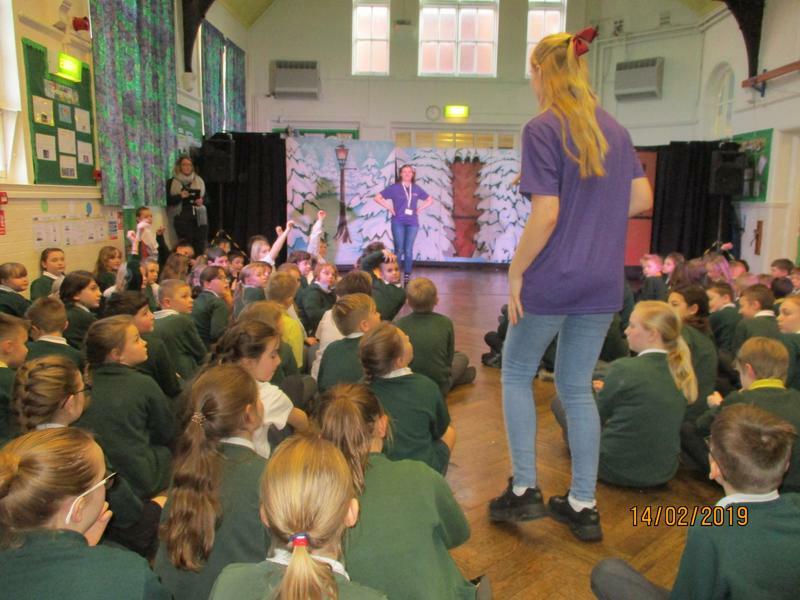 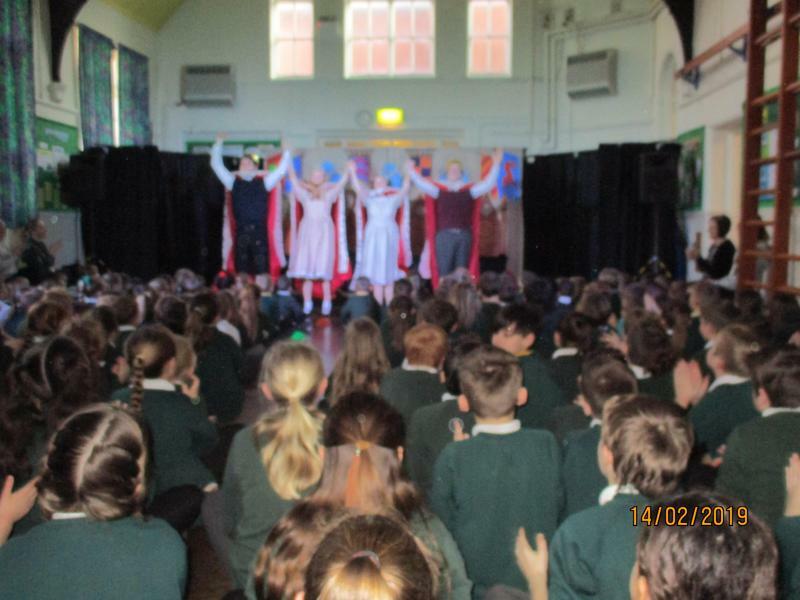 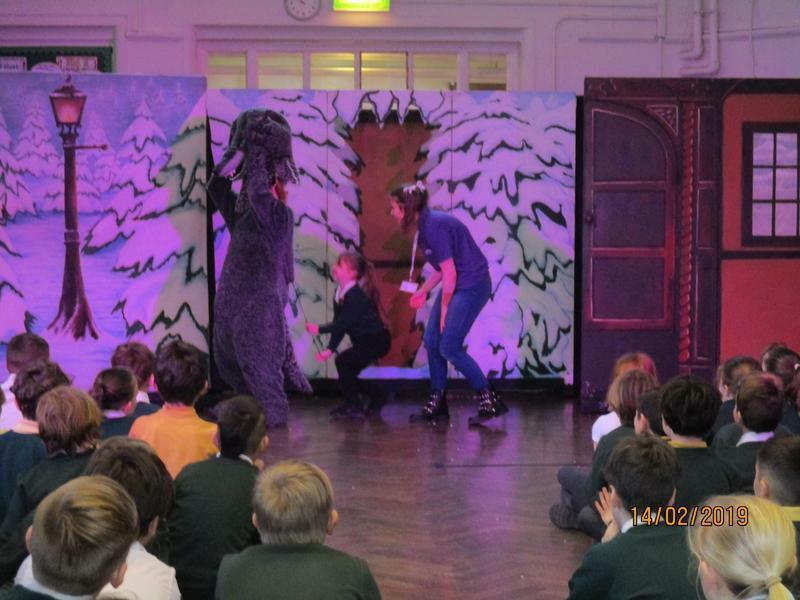 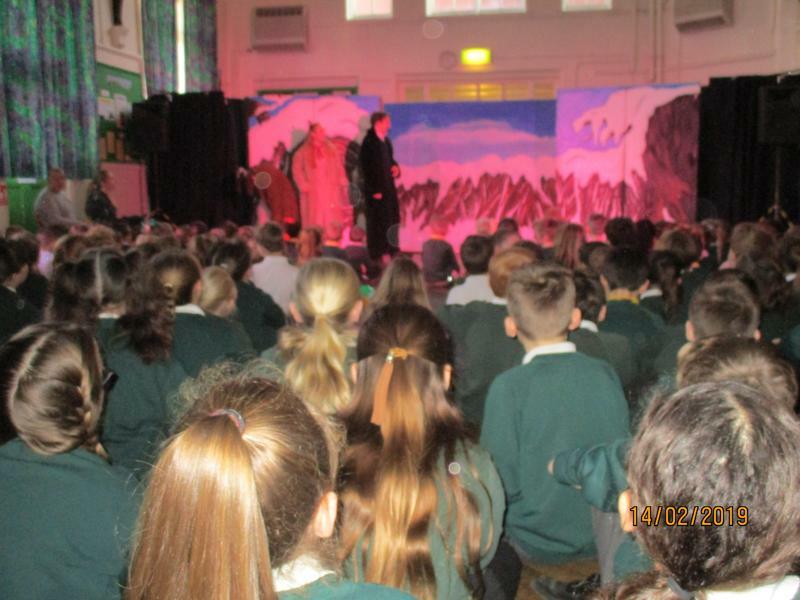 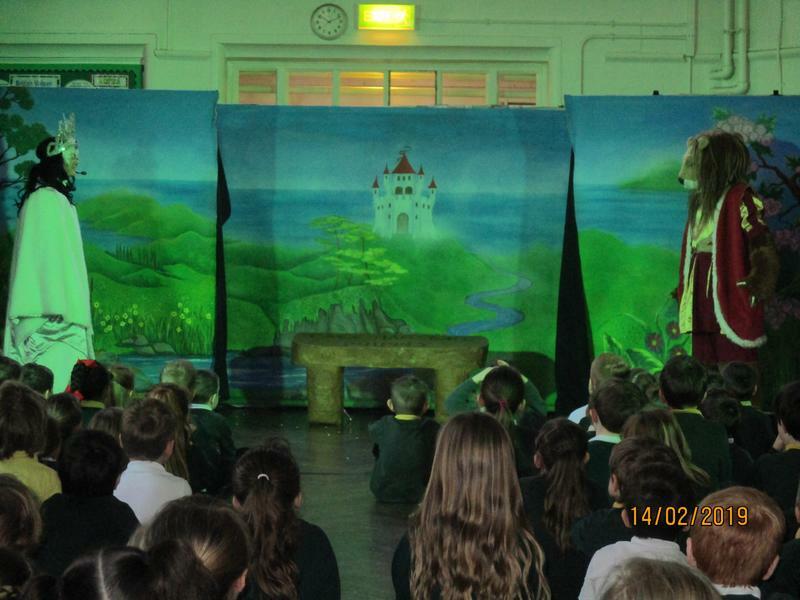 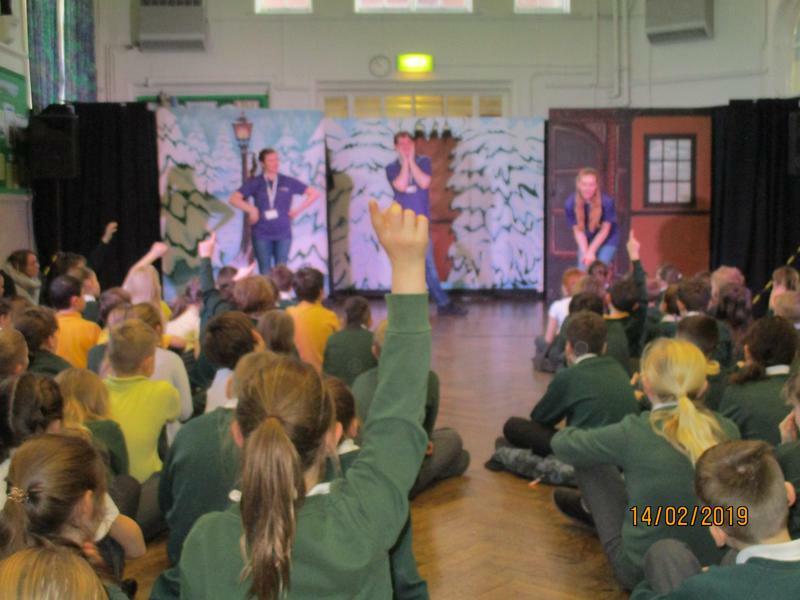 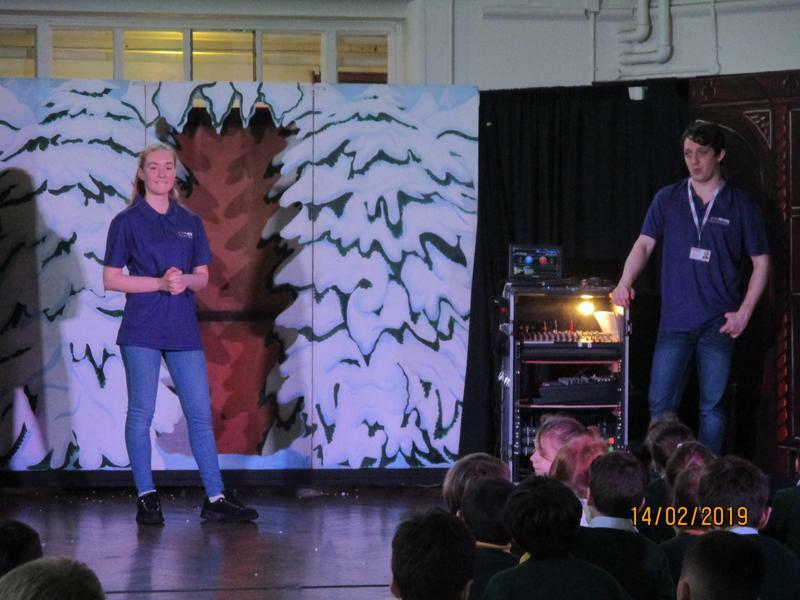 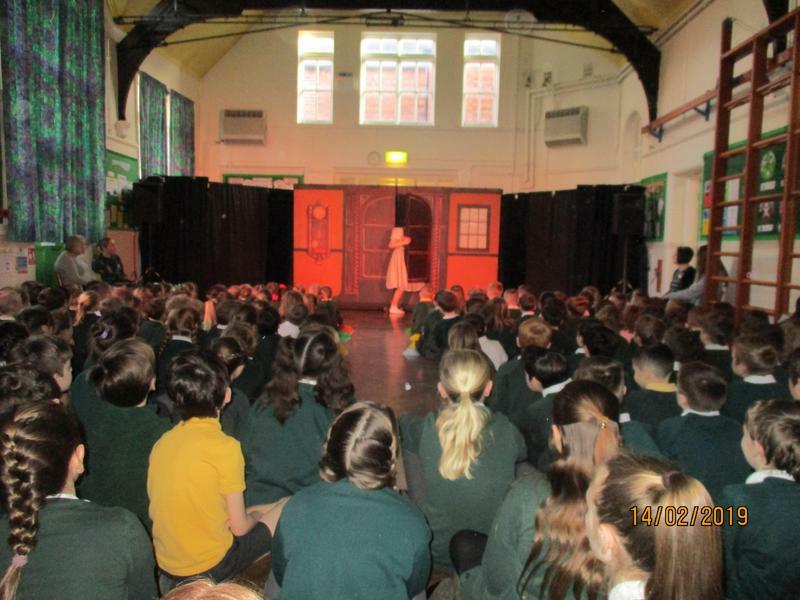 On Thursday, there was a visiting theatre performance of "The Secret of the Wardrobe" (based on C.S. 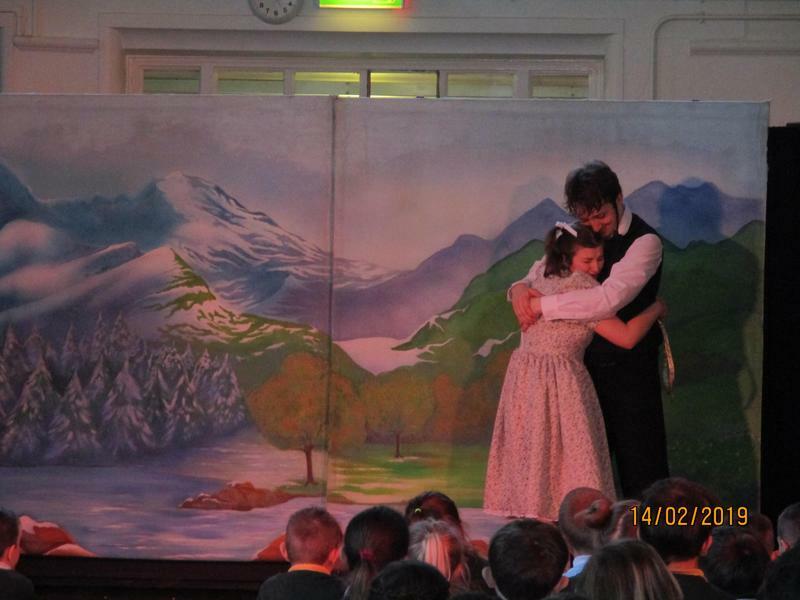 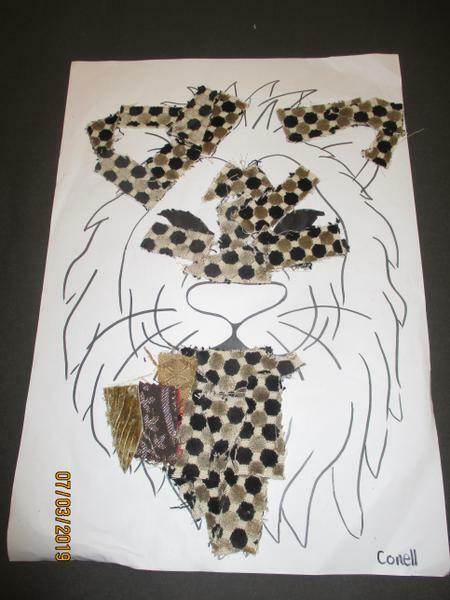 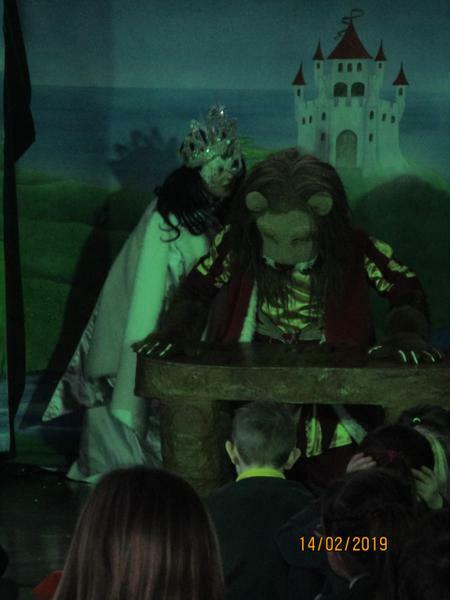 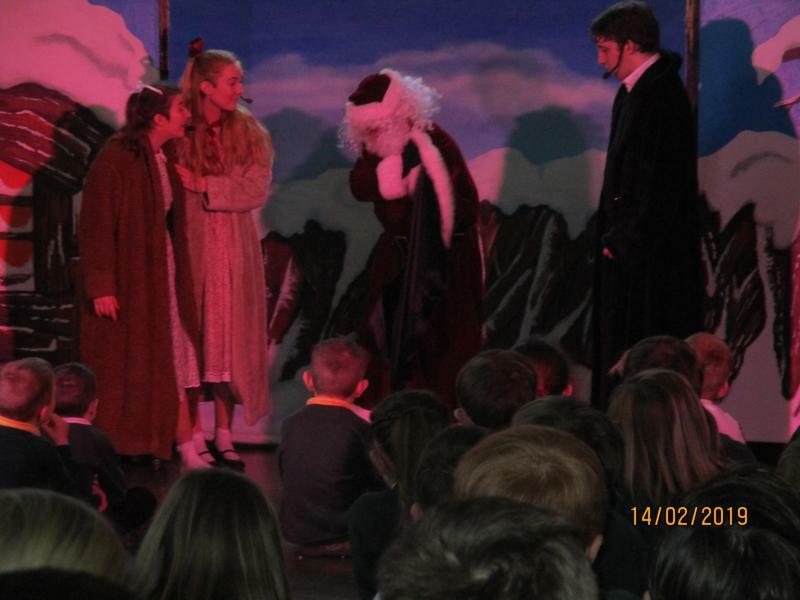 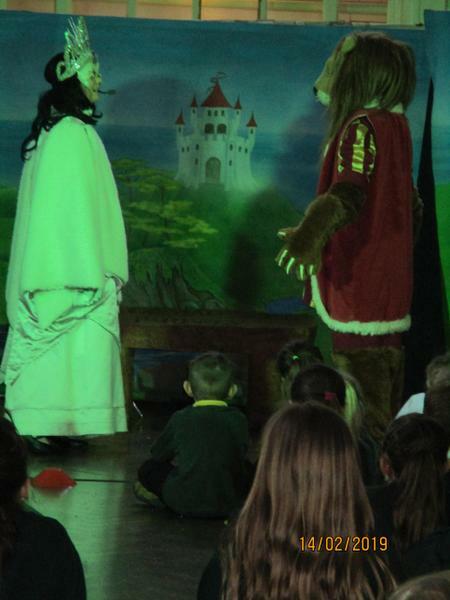 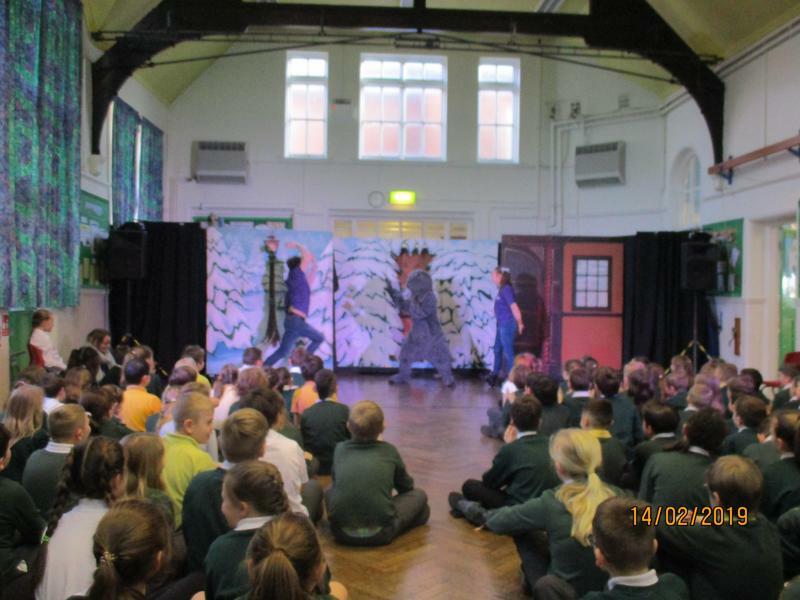 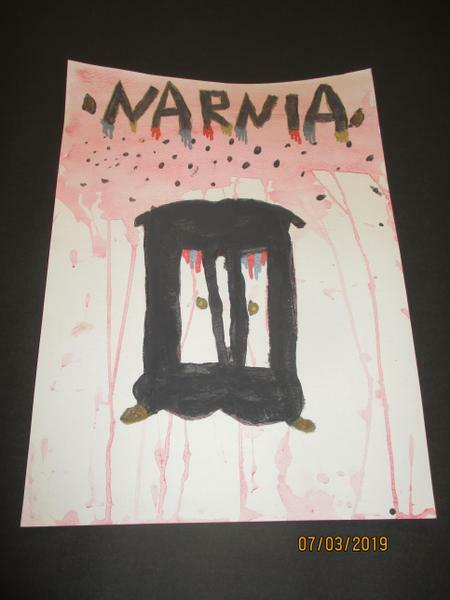 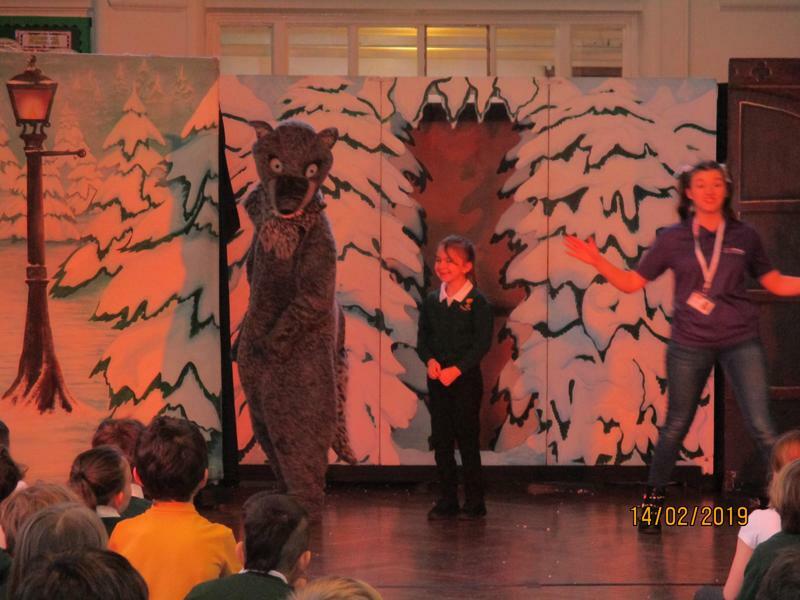 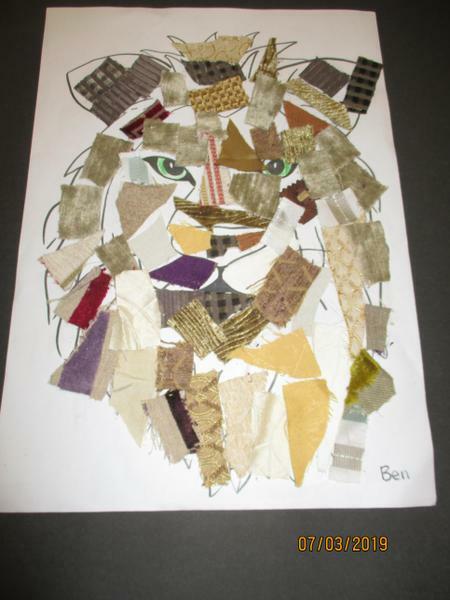 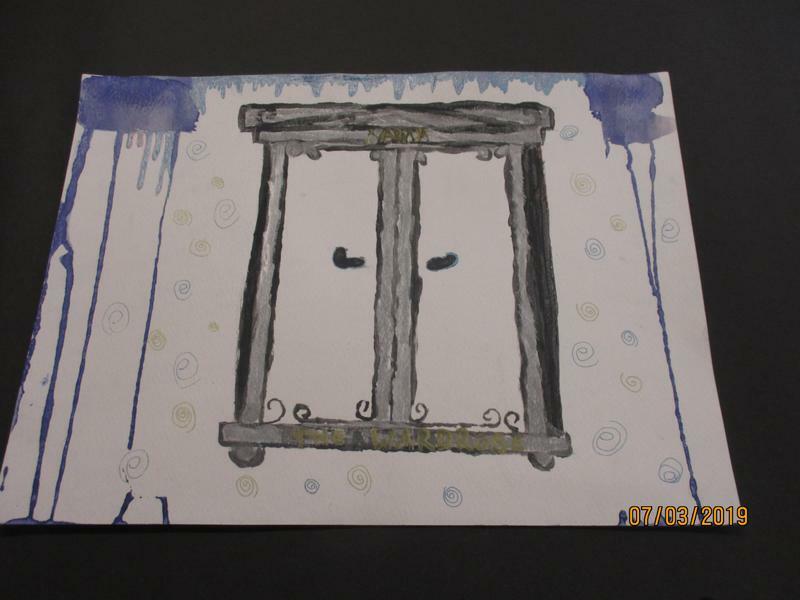 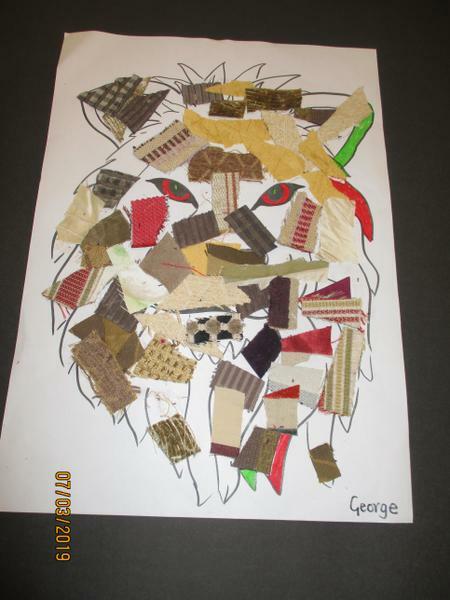 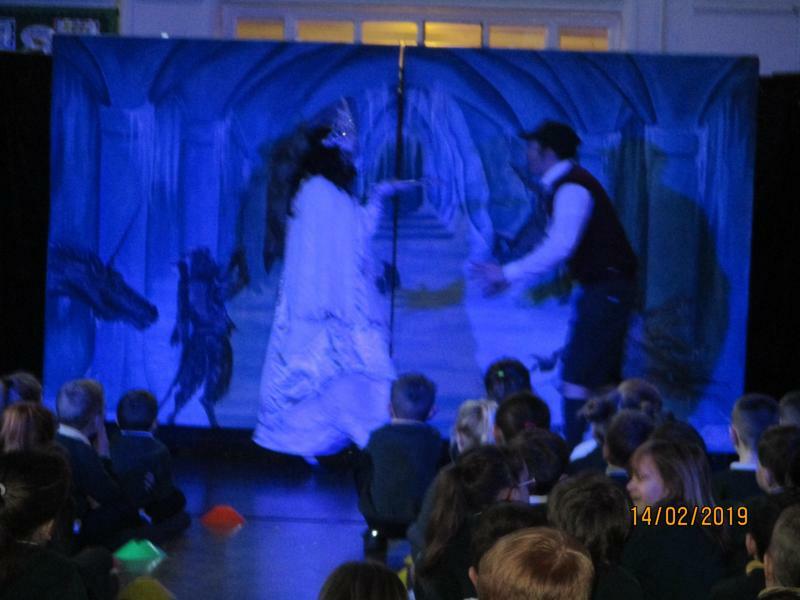 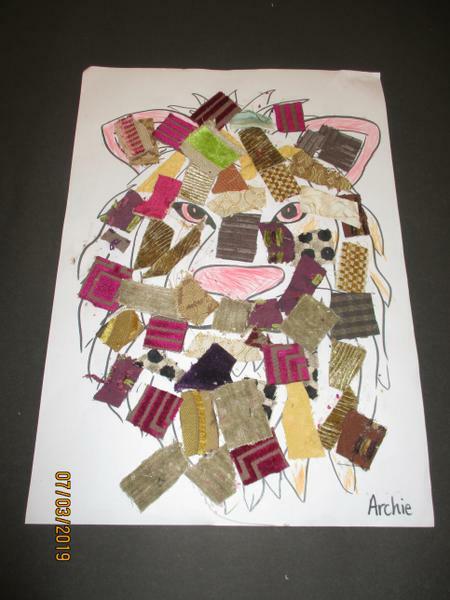 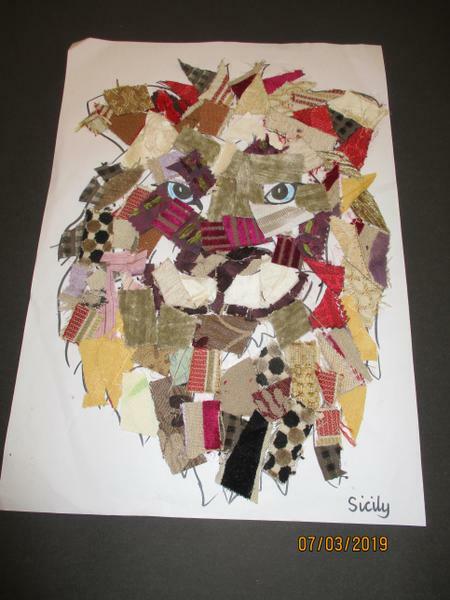 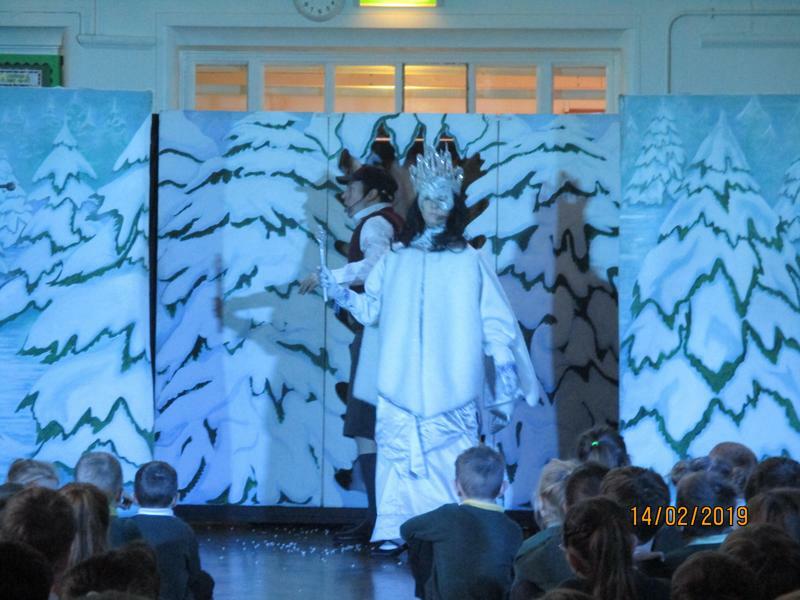 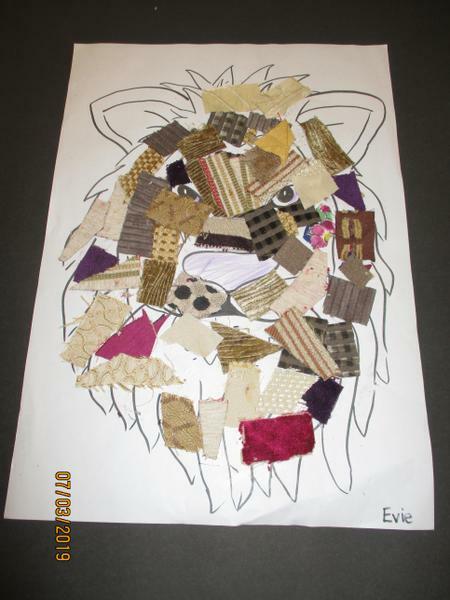 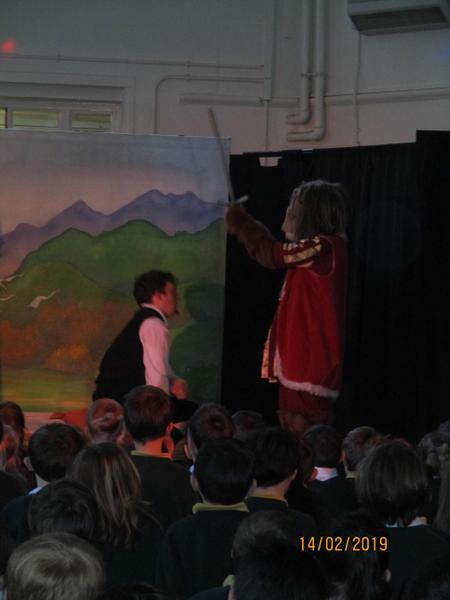 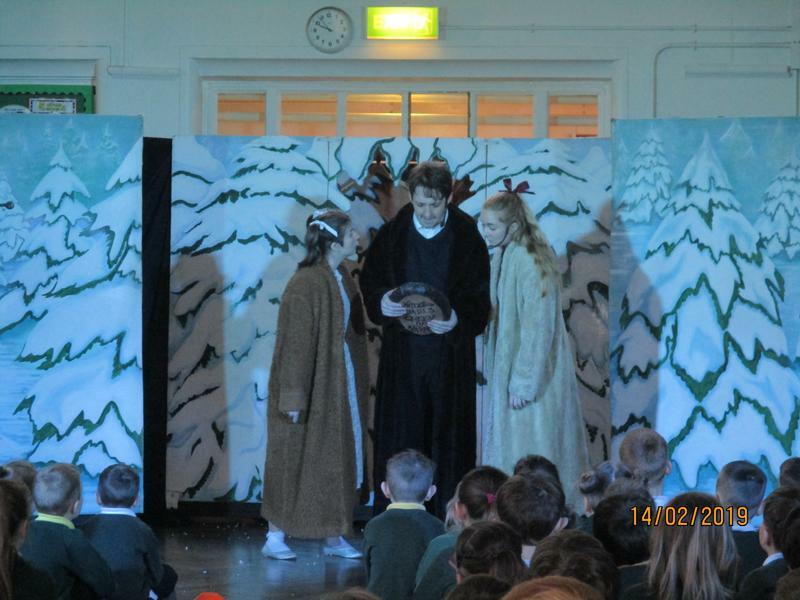 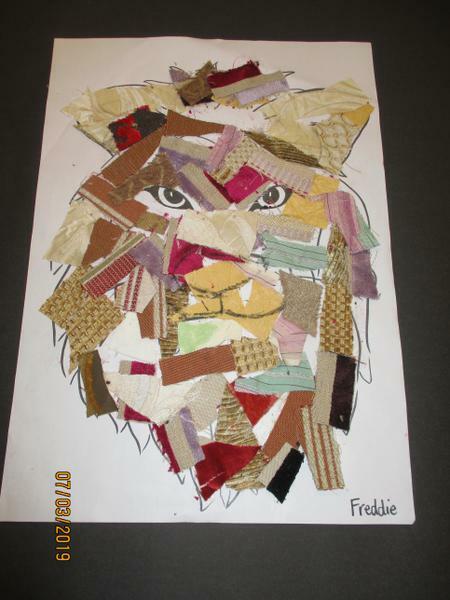 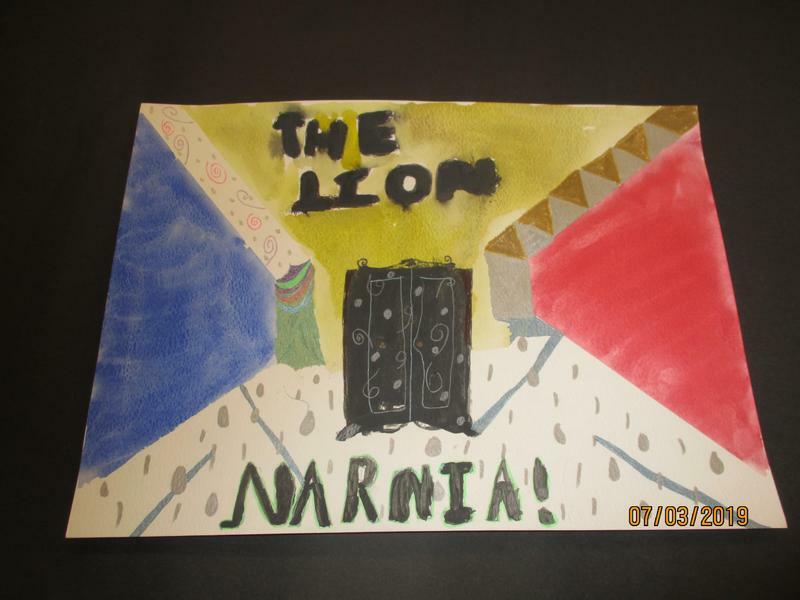 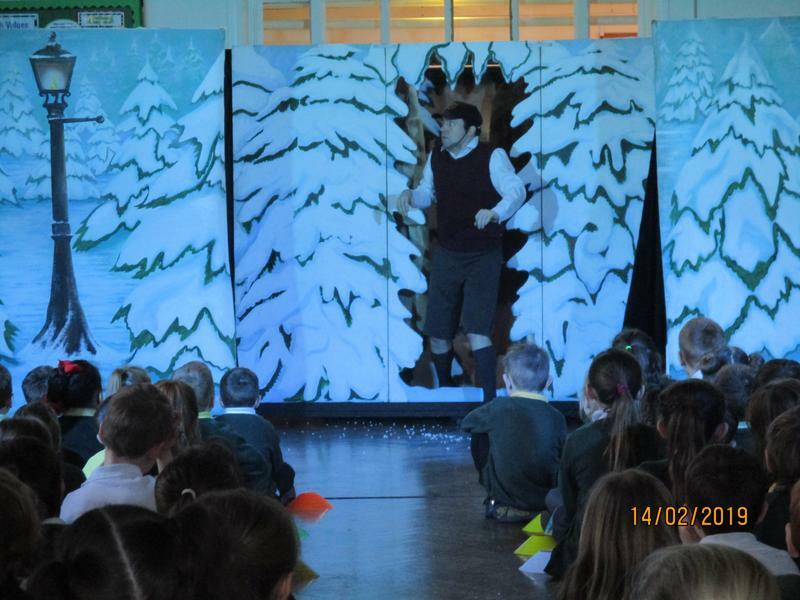 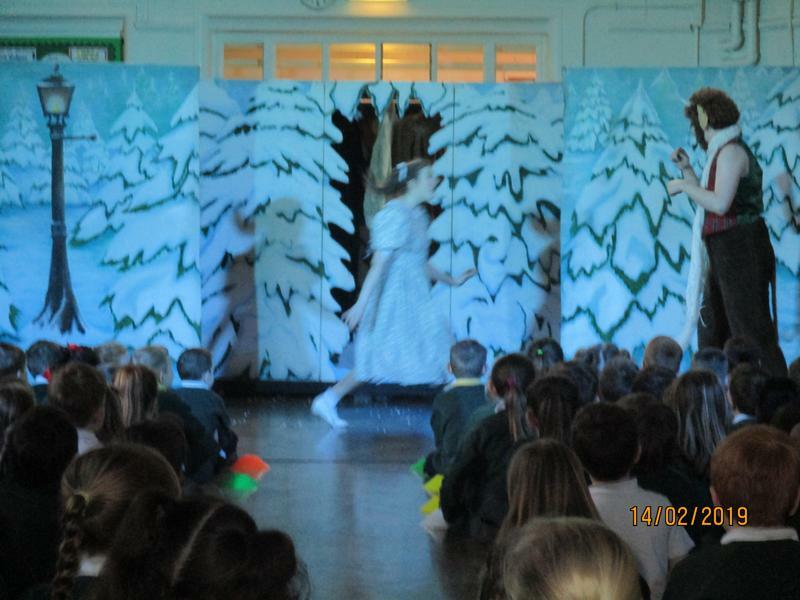 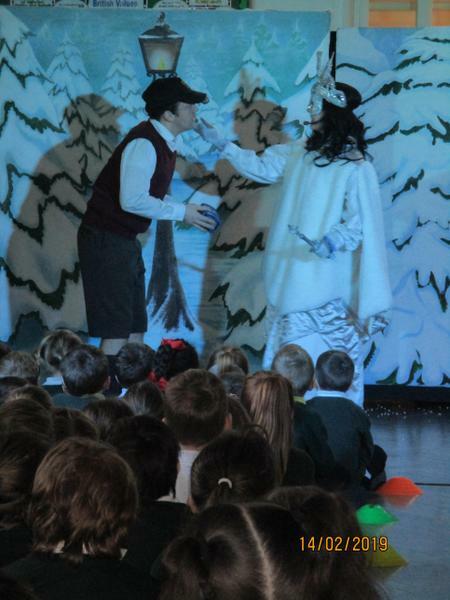 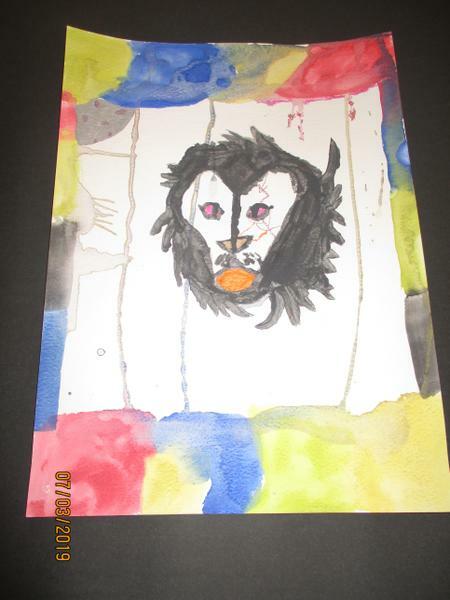 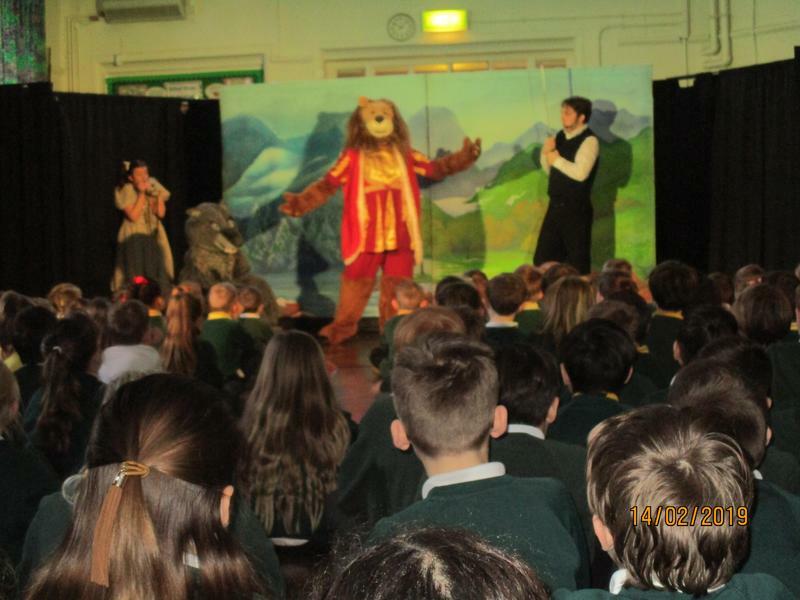 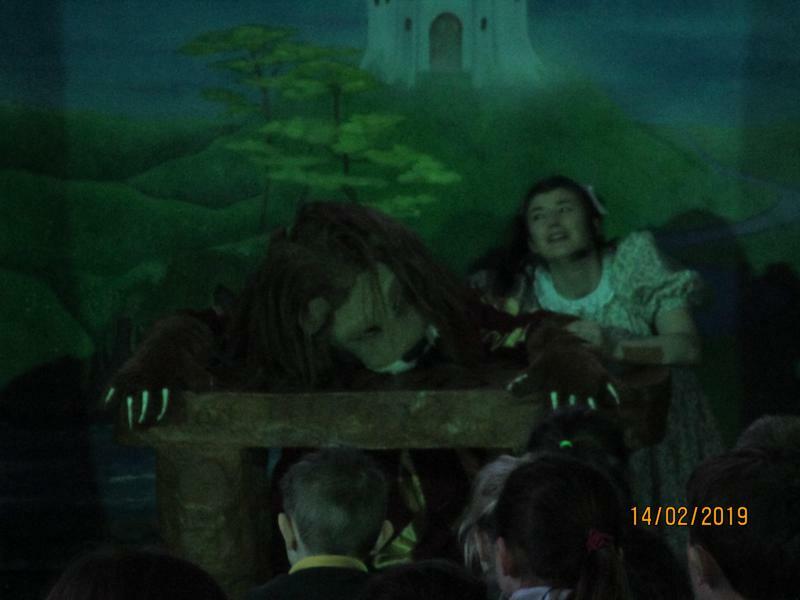 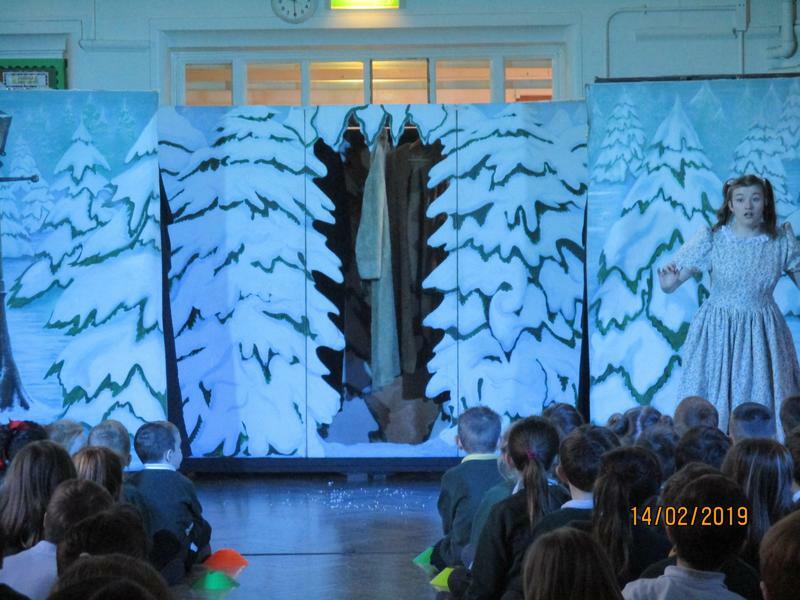 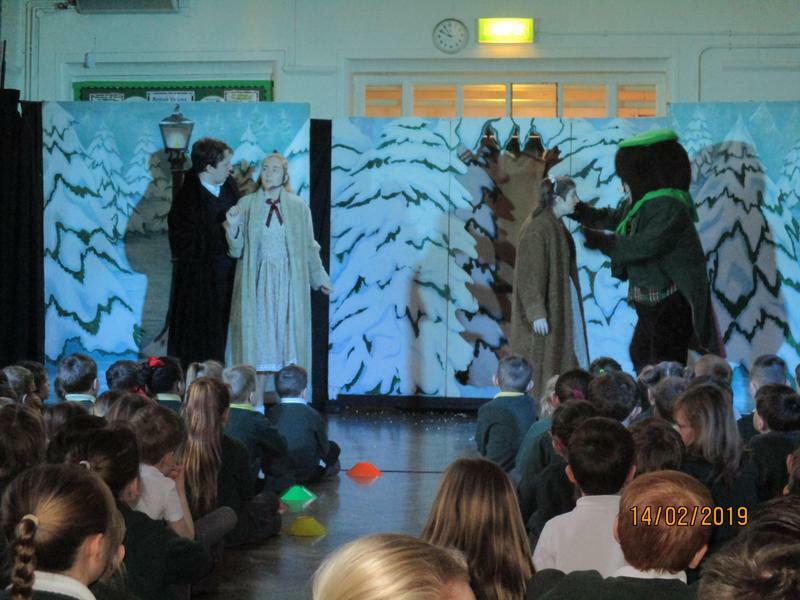 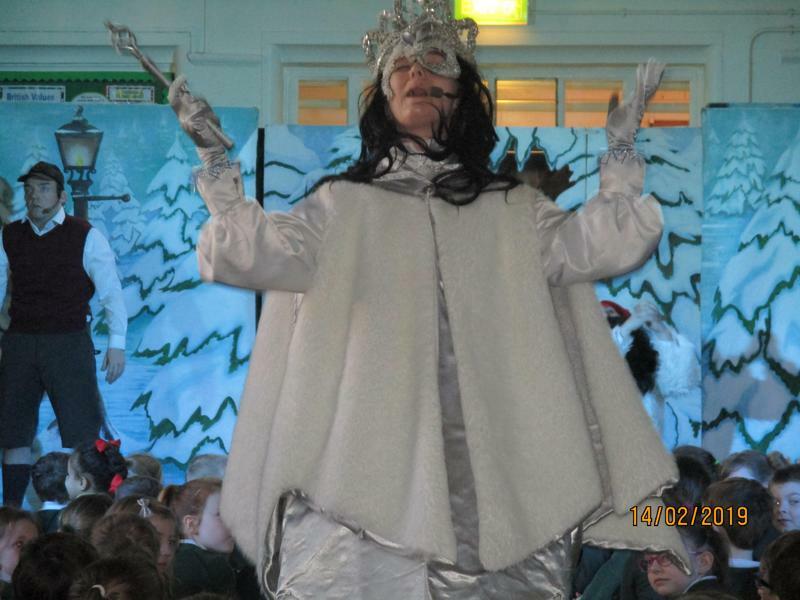 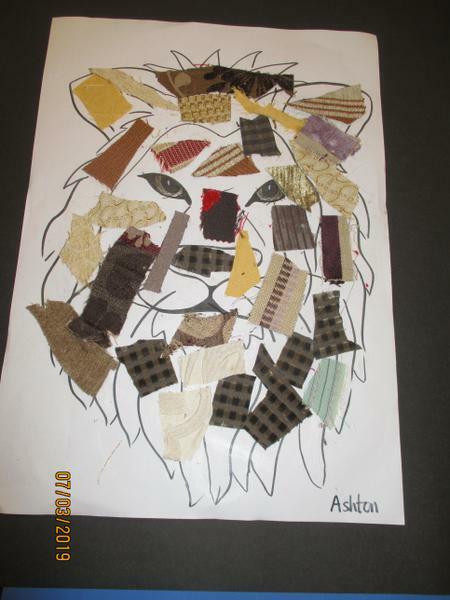 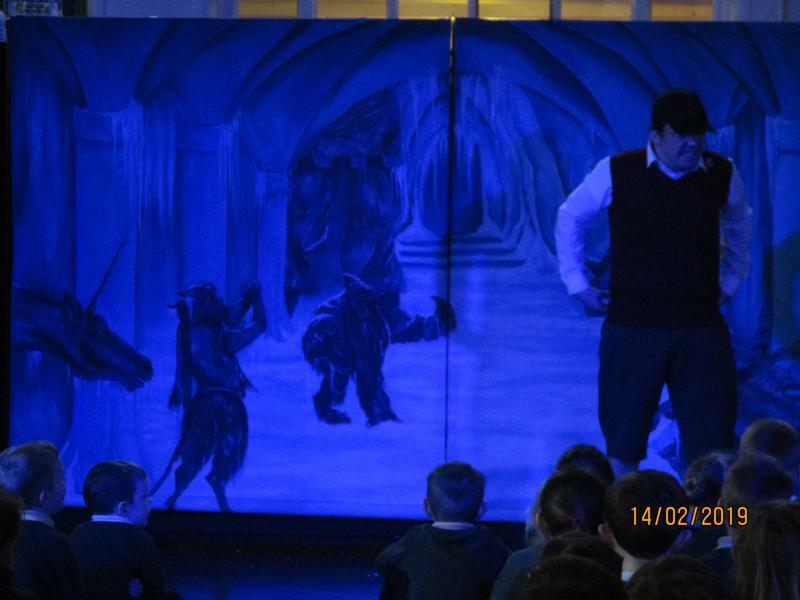 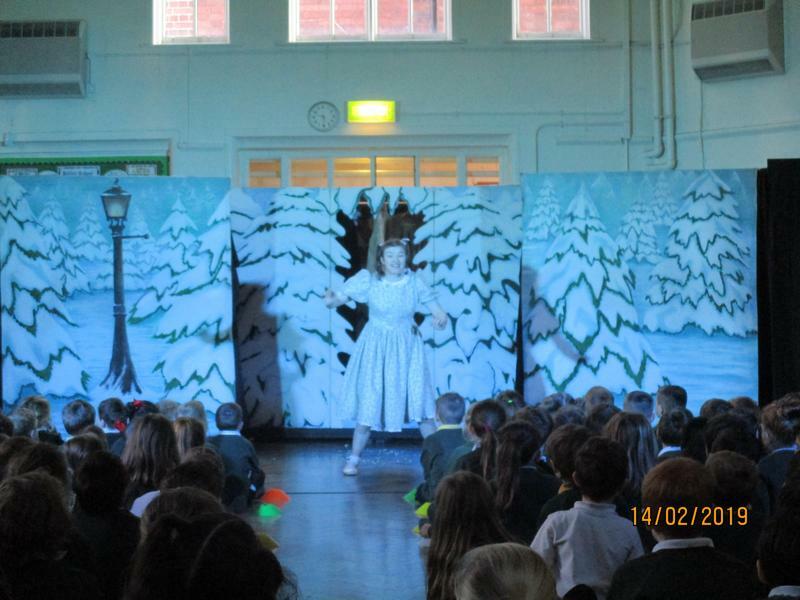 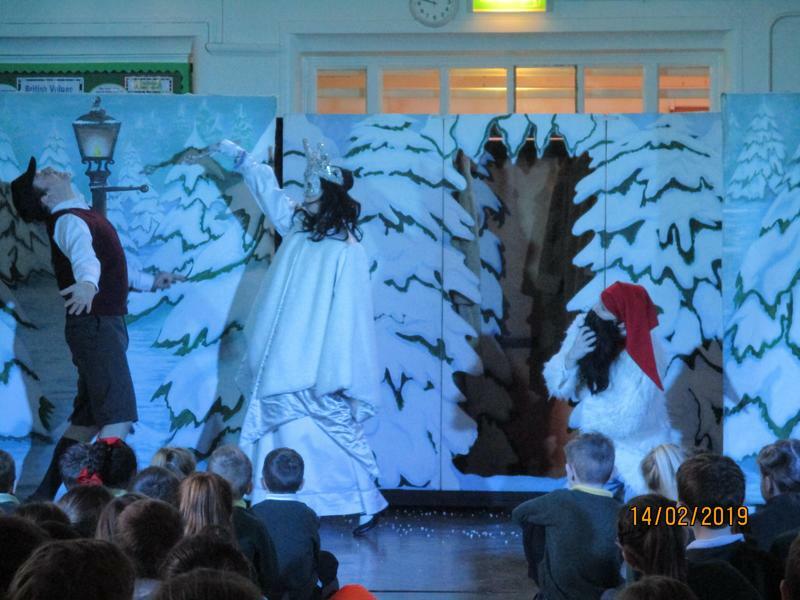 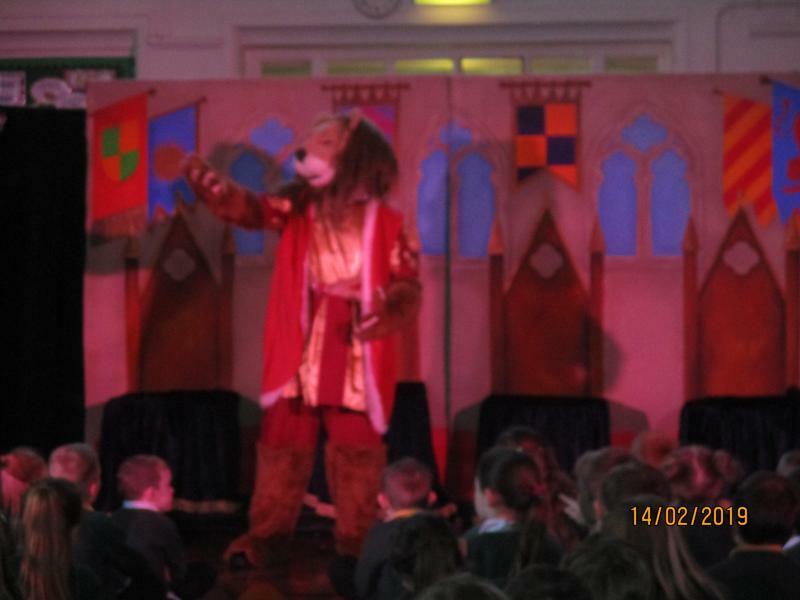 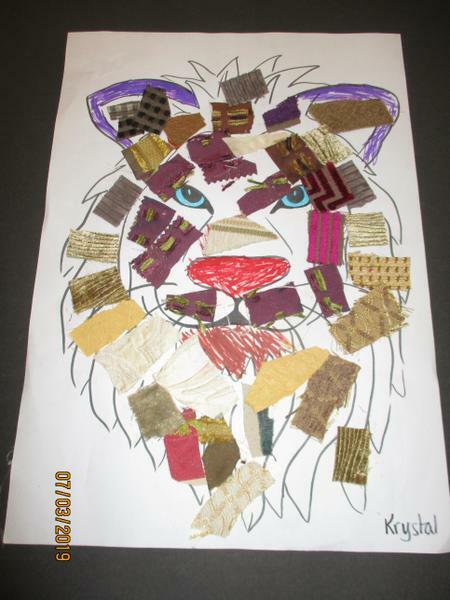 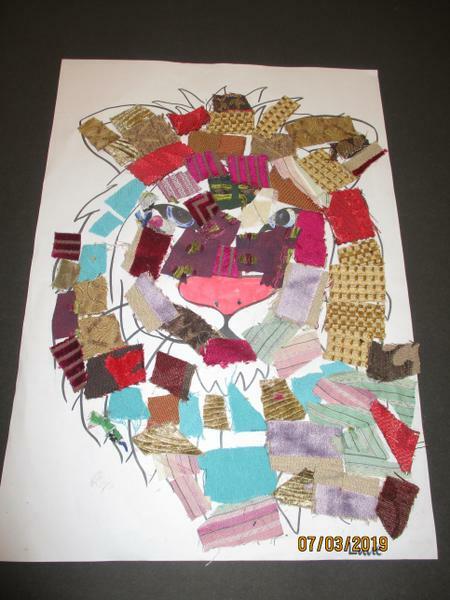 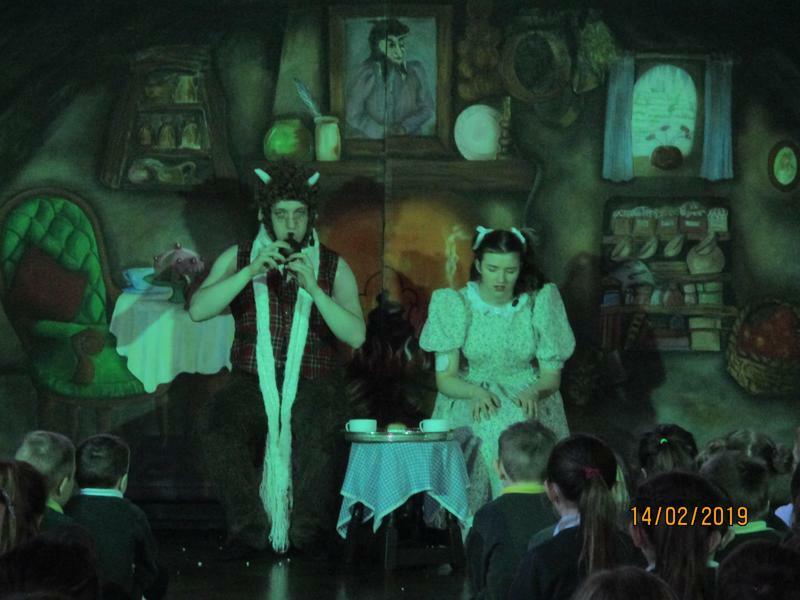 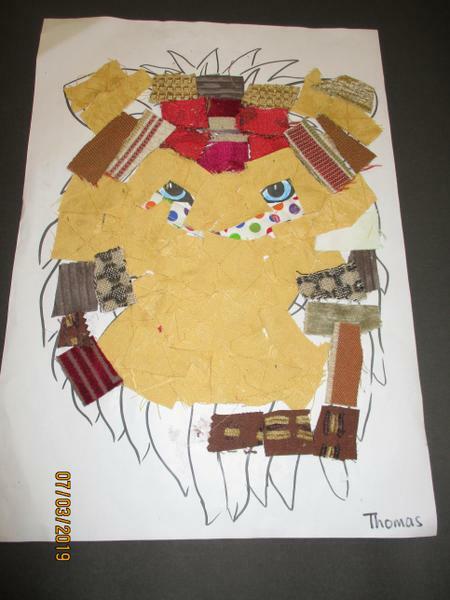 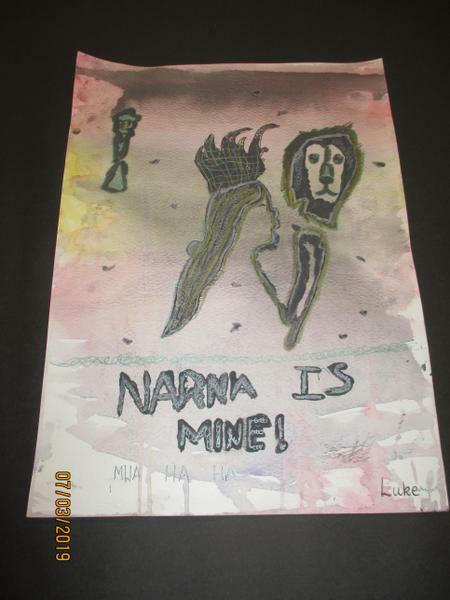 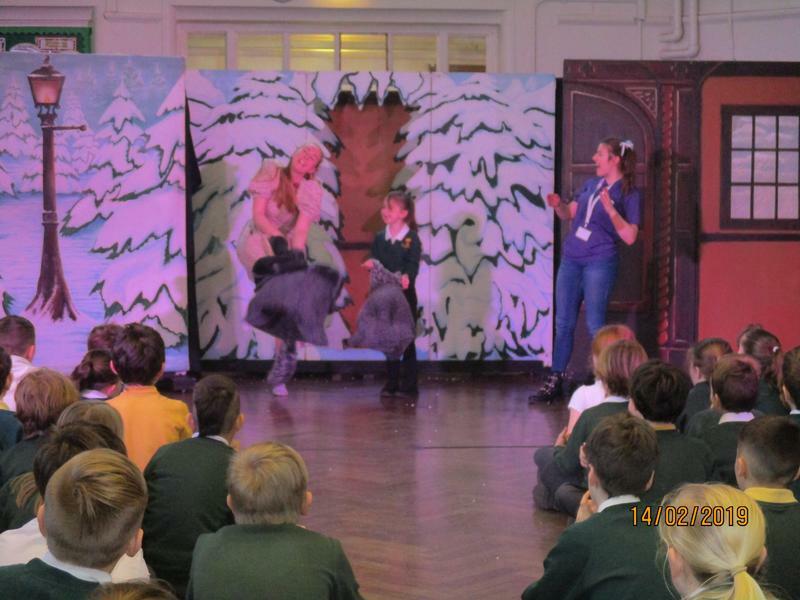 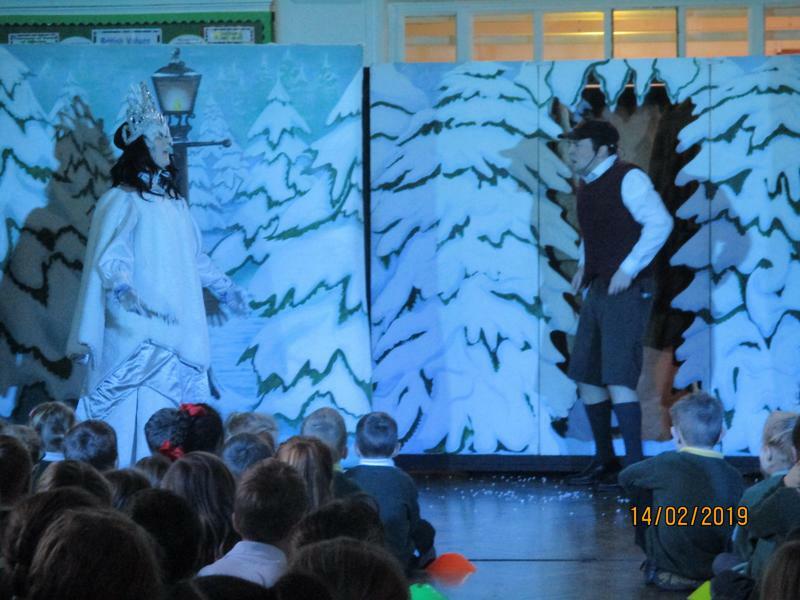 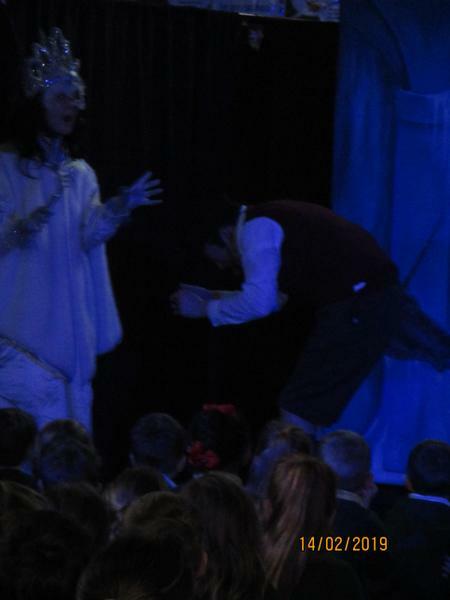 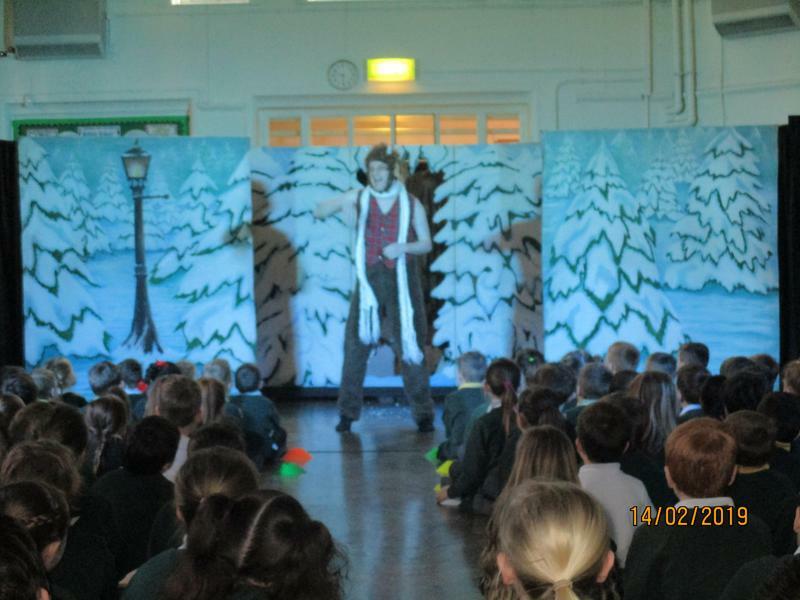 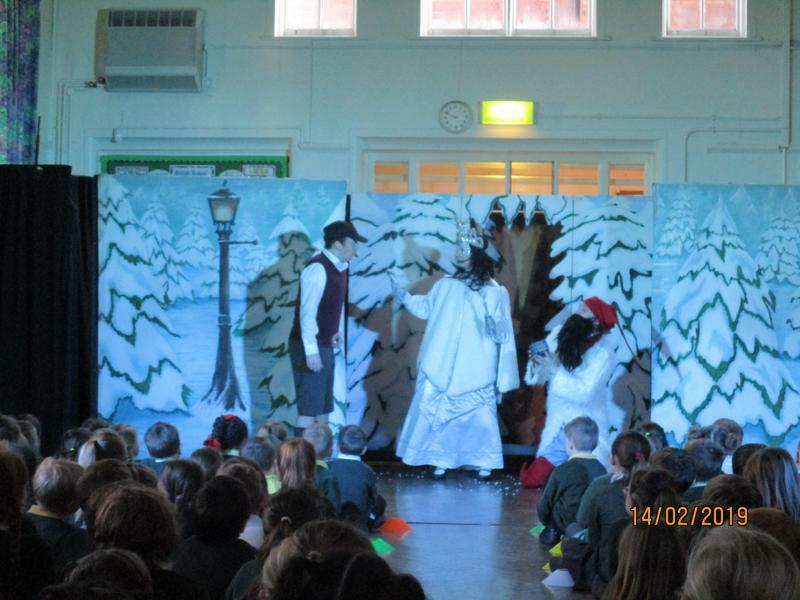 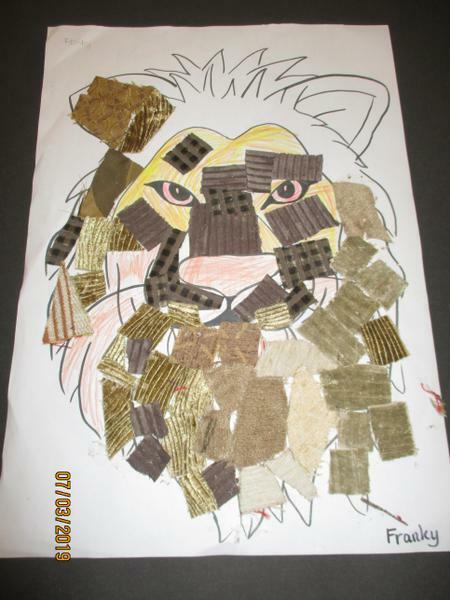 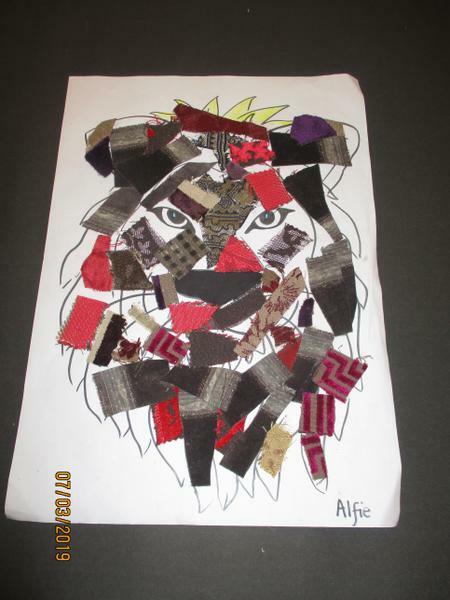 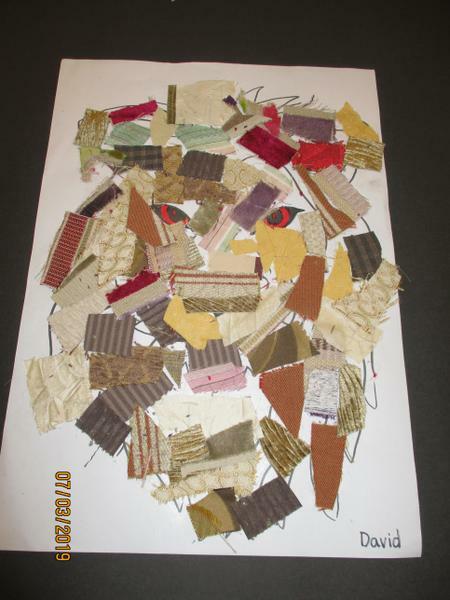 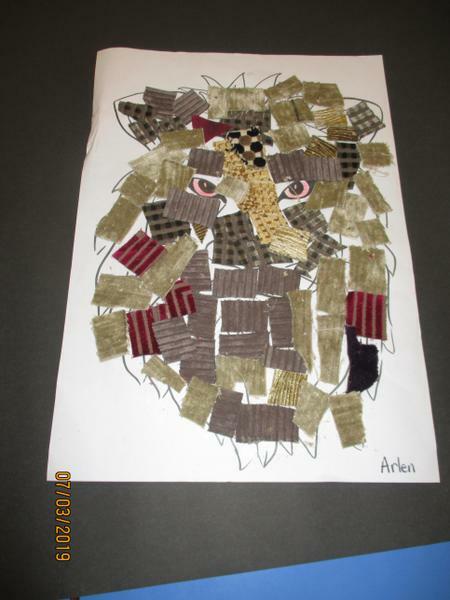 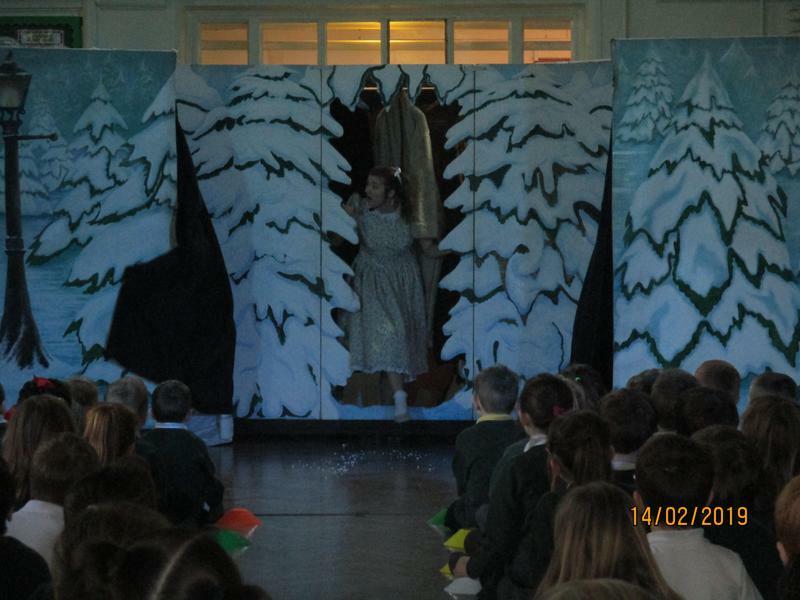 Lewis' "The Lion, the Witch and the Wardrobe") which inspired the arts theme for the week. 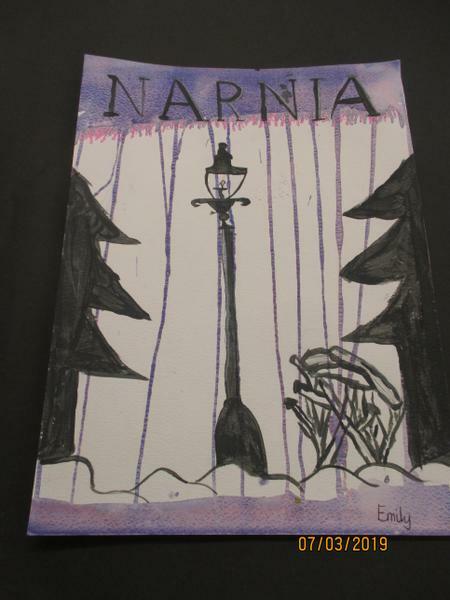 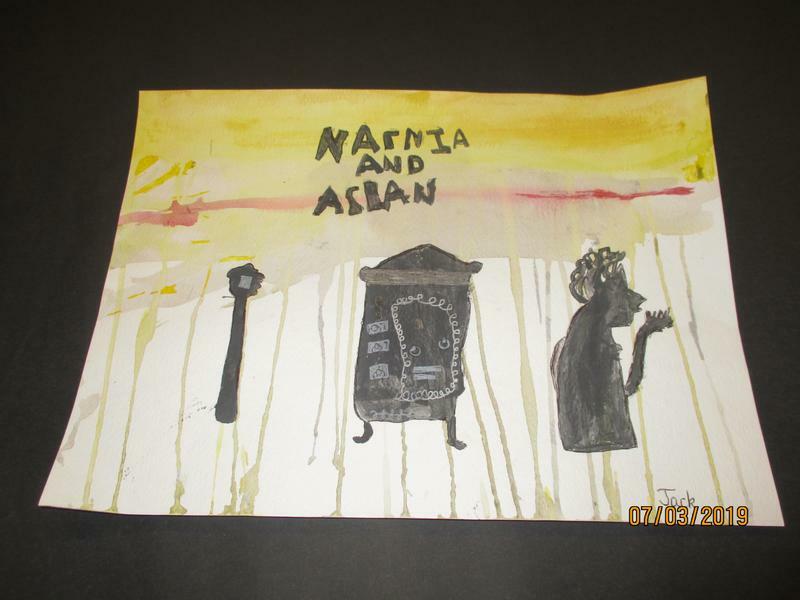 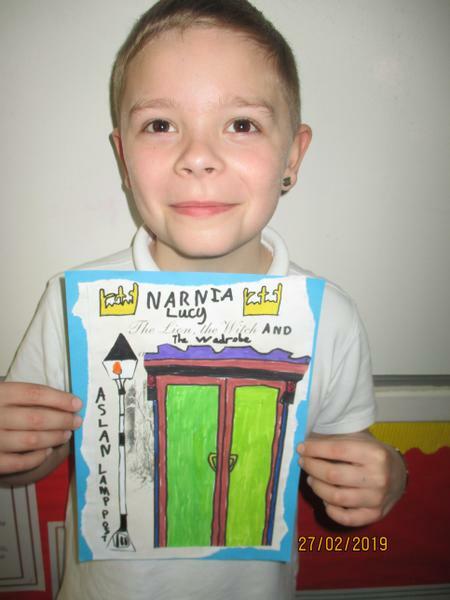 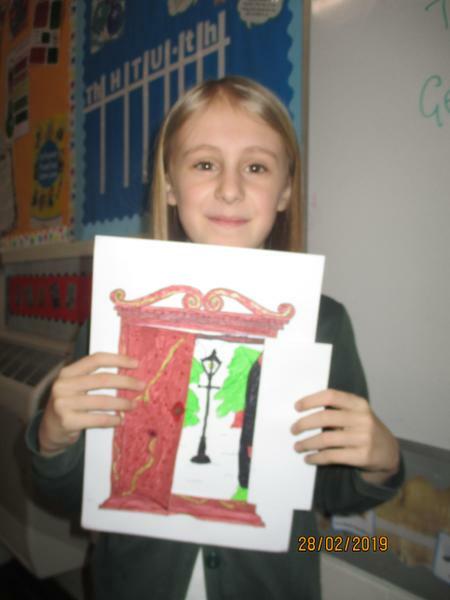 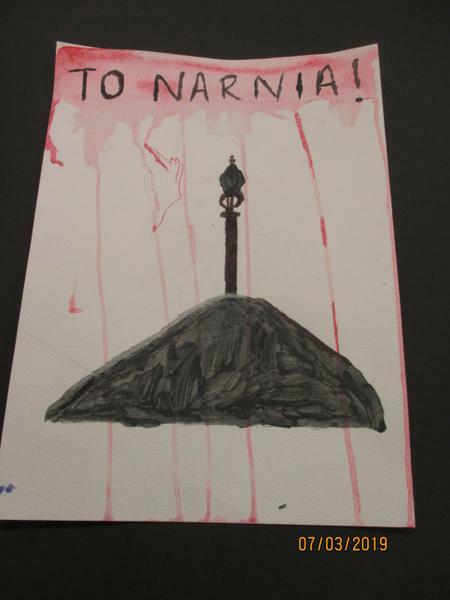 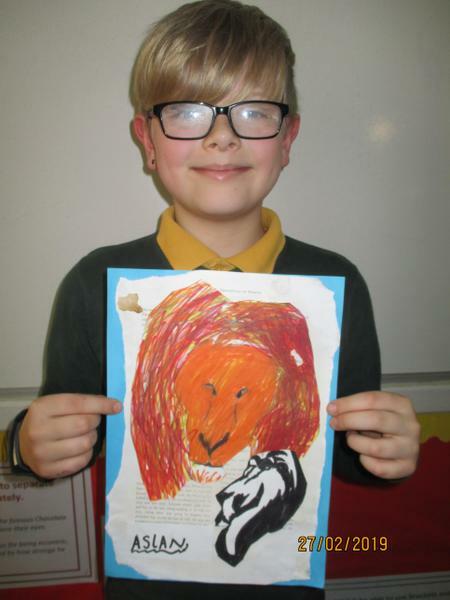 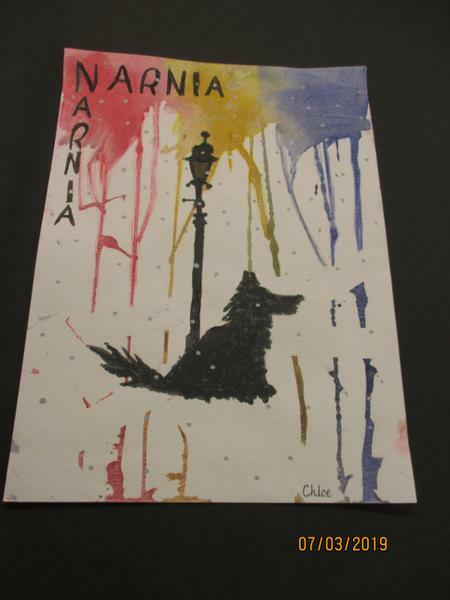 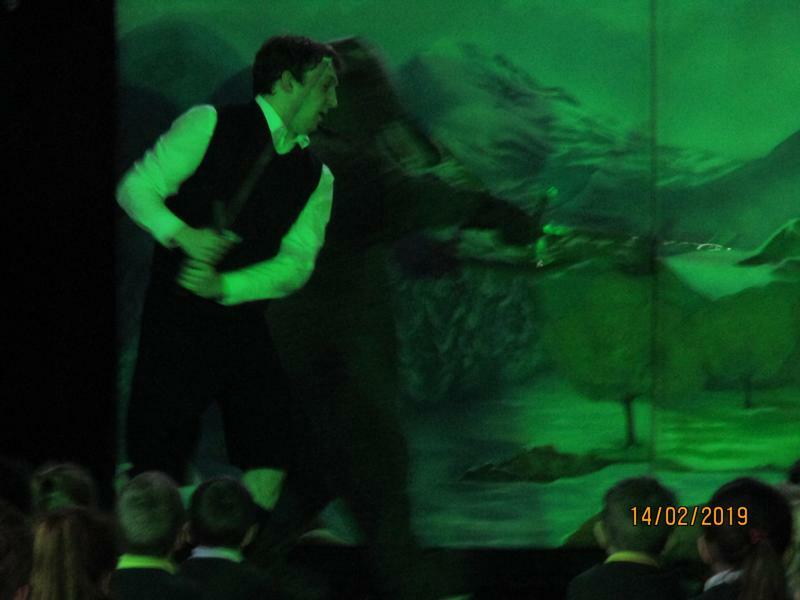 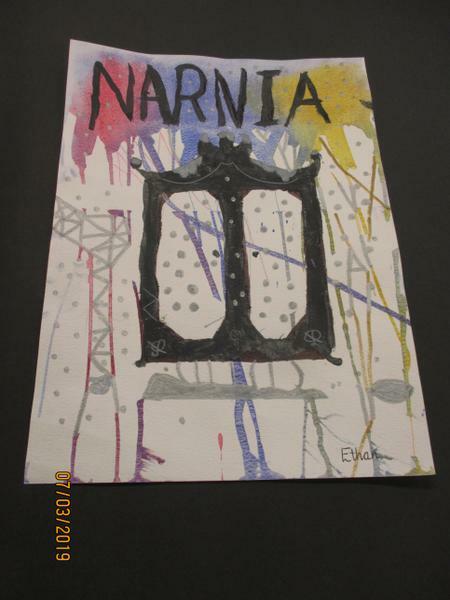 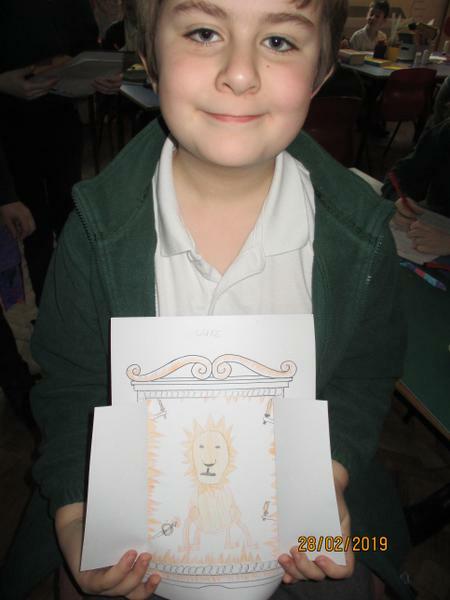 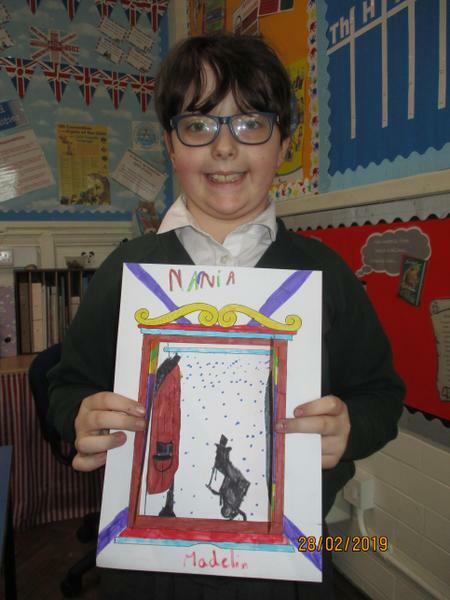 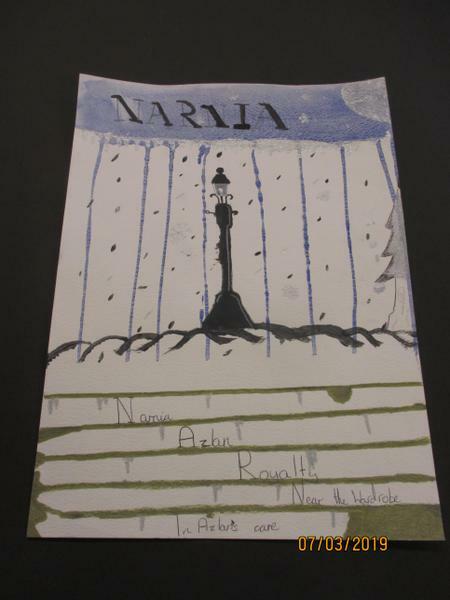 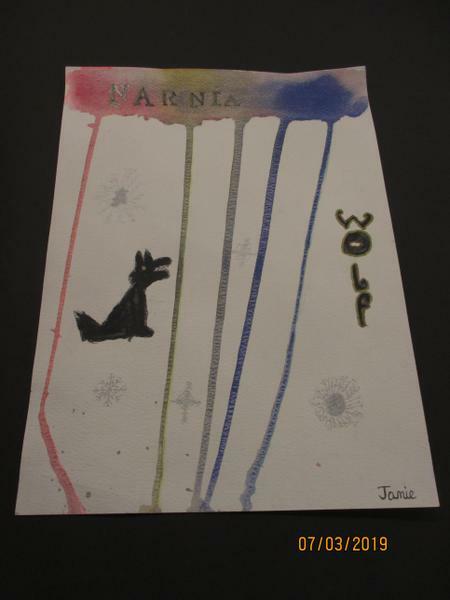 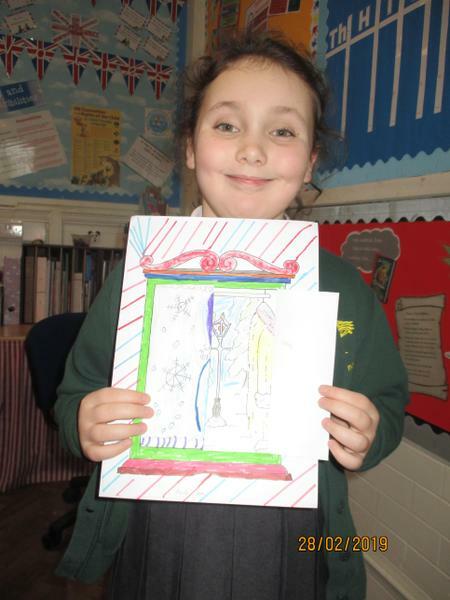 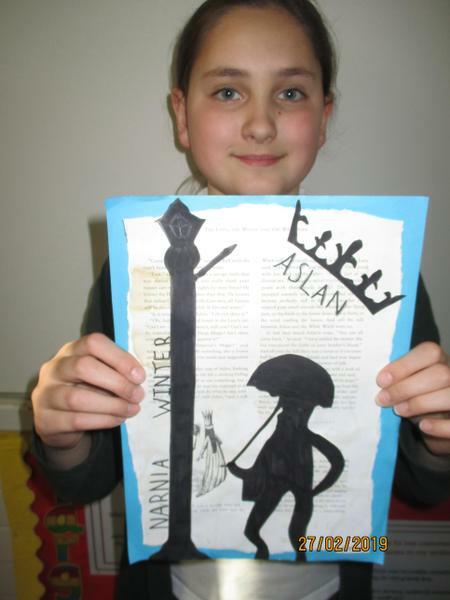 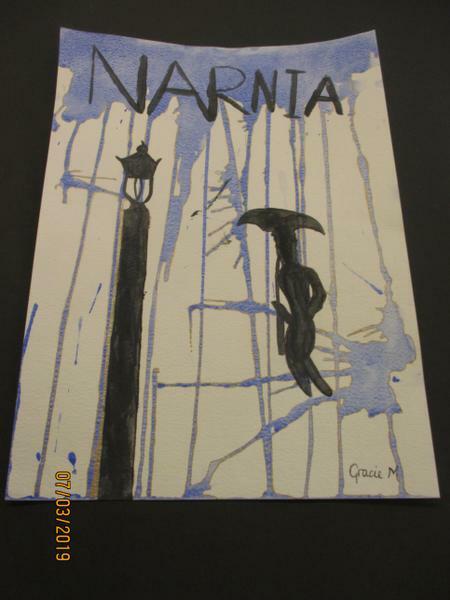 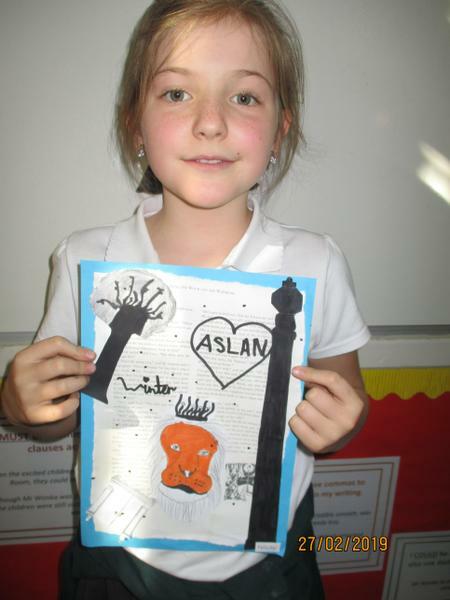 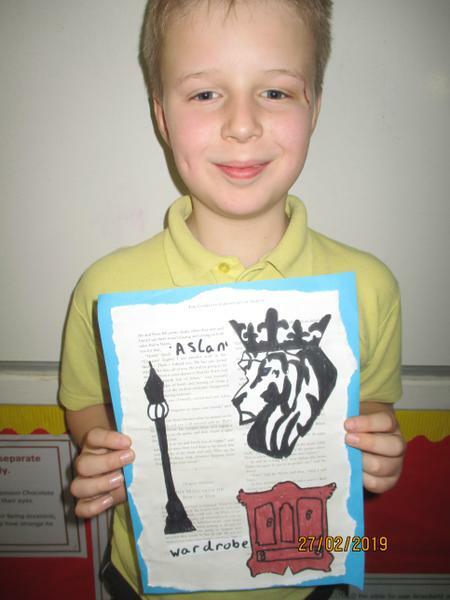 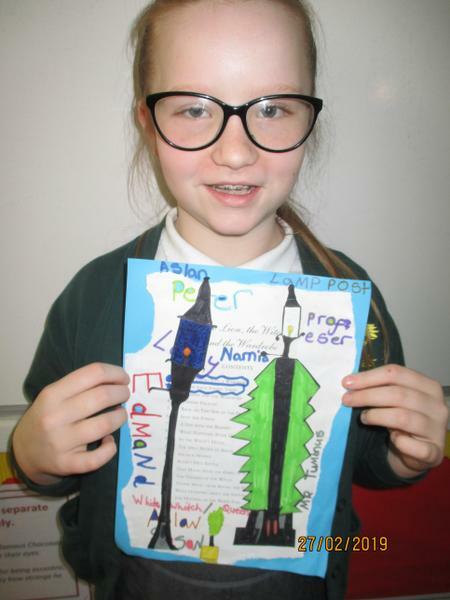 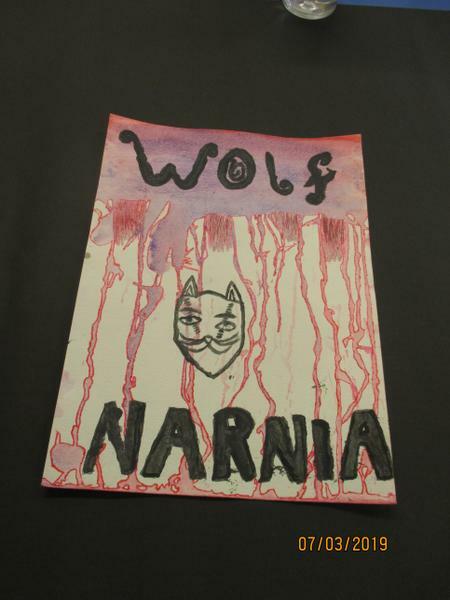 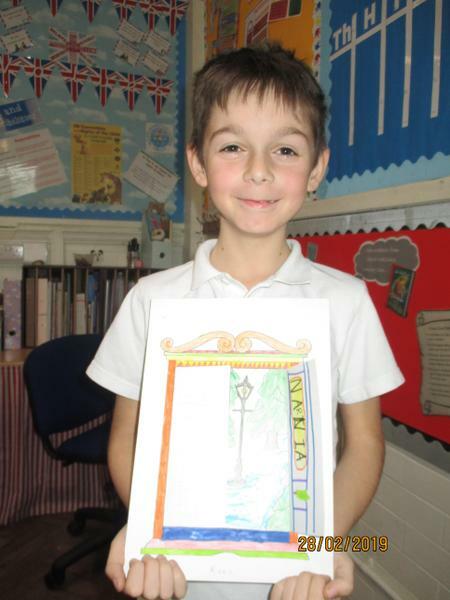 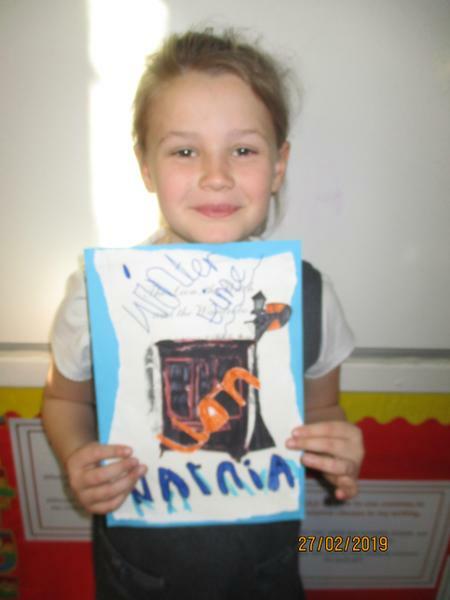 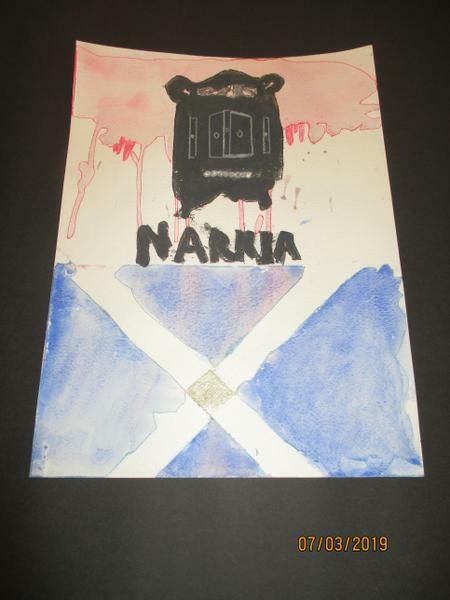 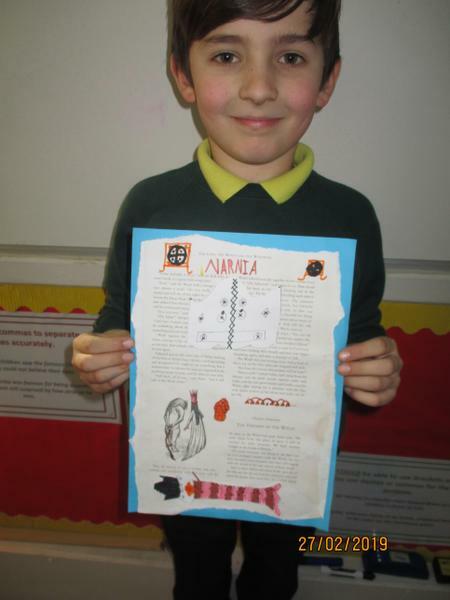 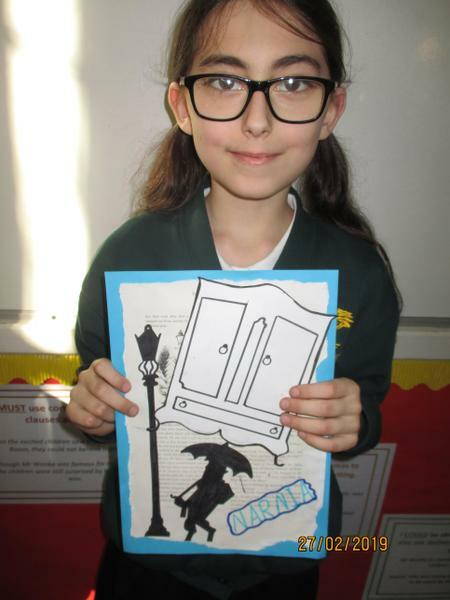 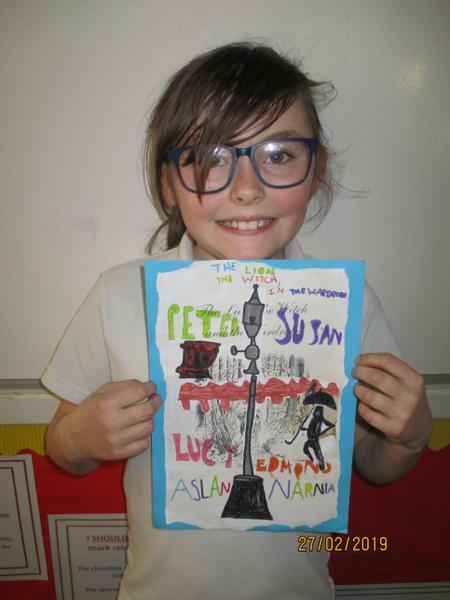 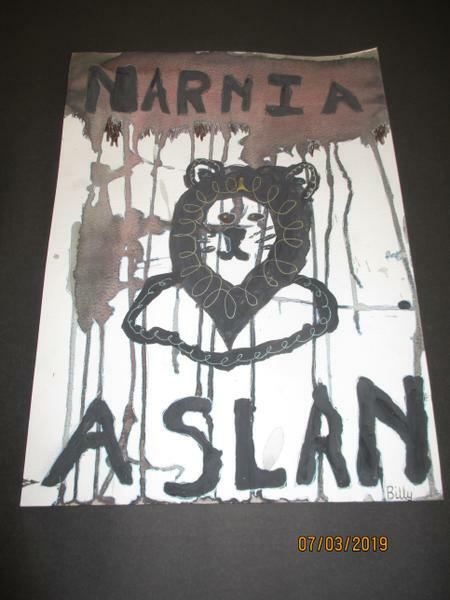 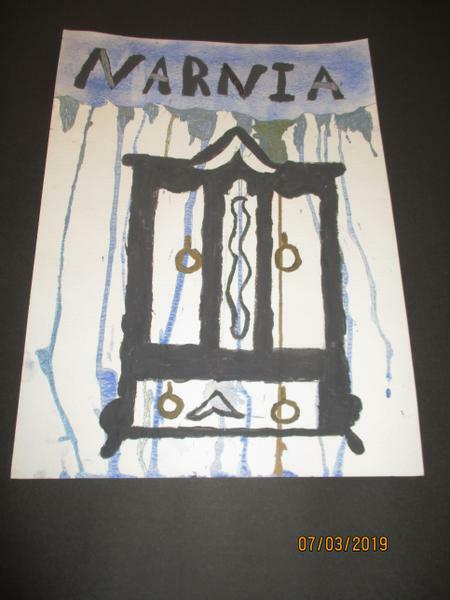 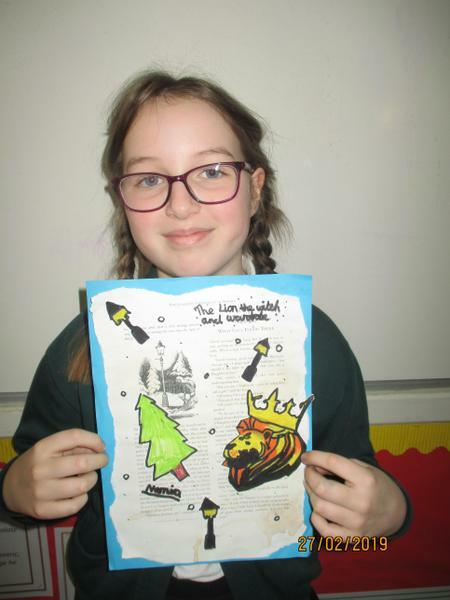 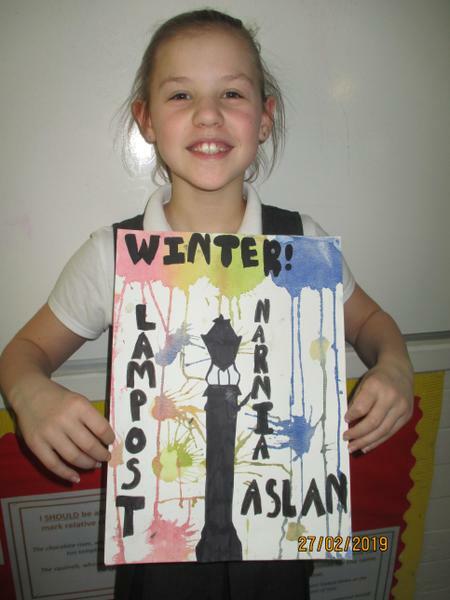 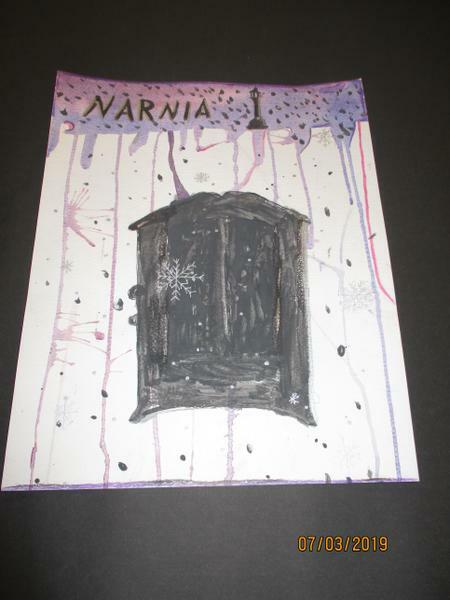 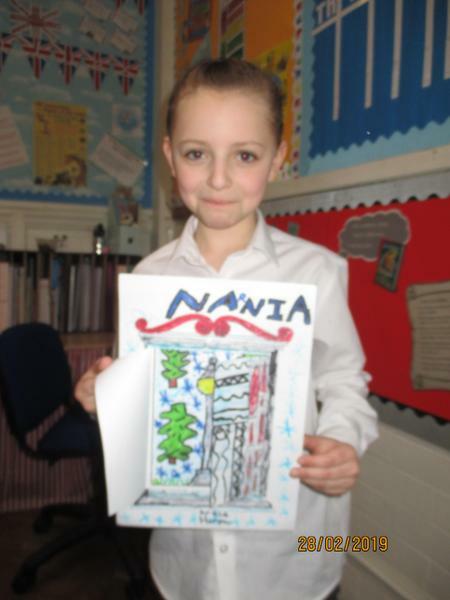 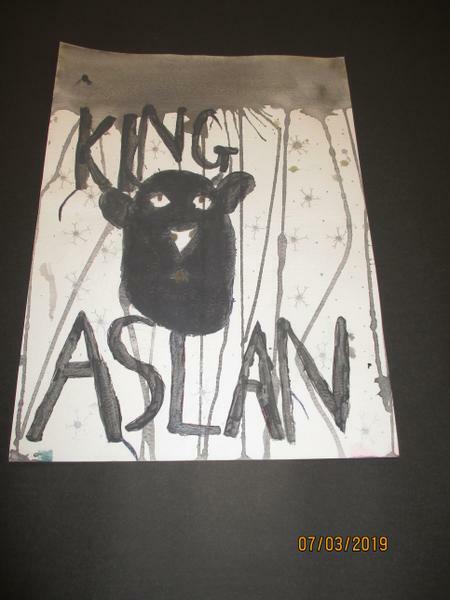 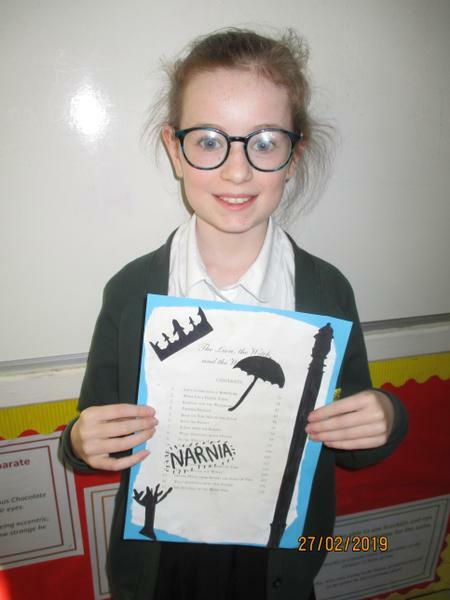 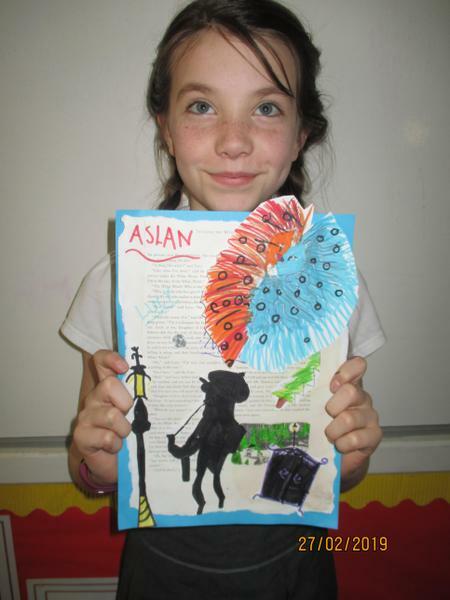 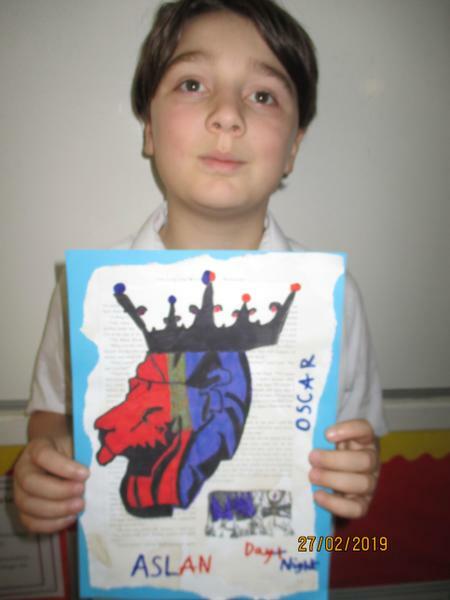 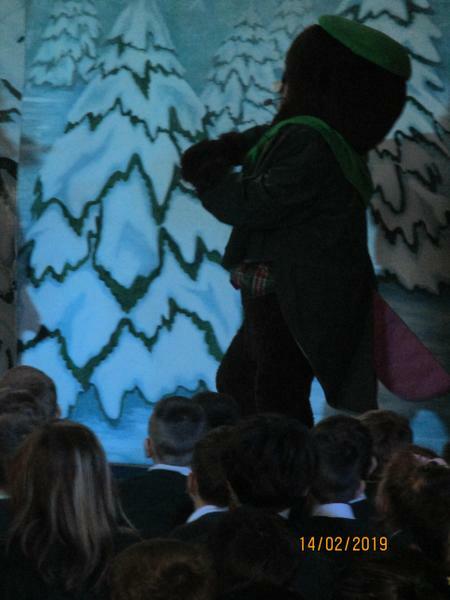 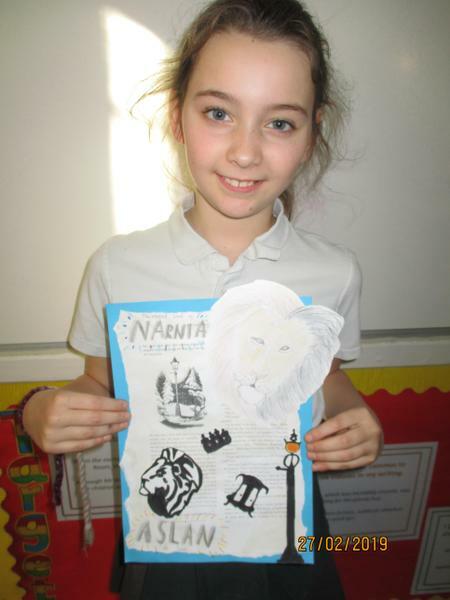 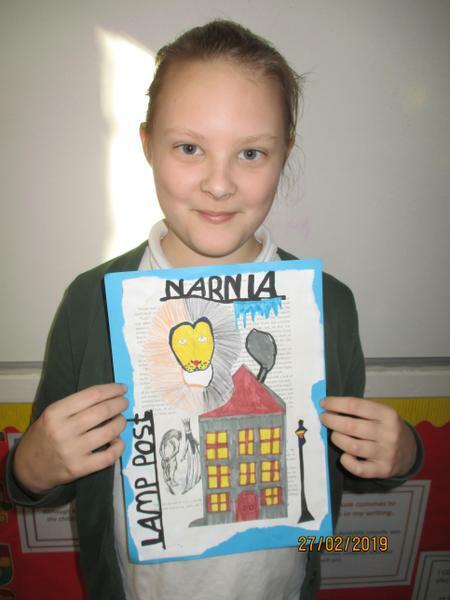 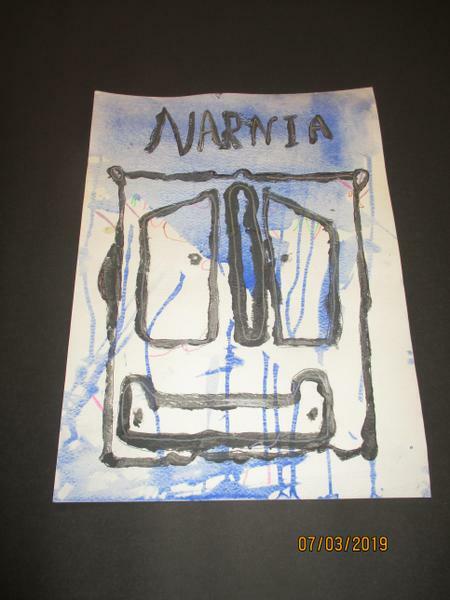 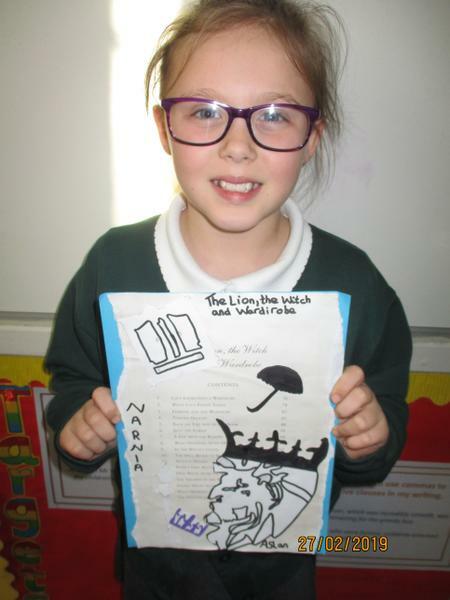 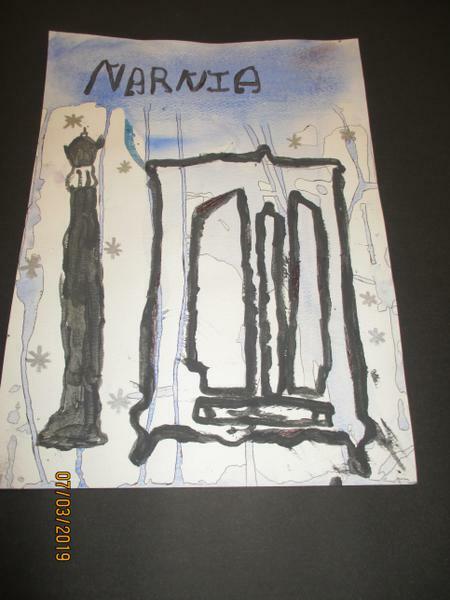 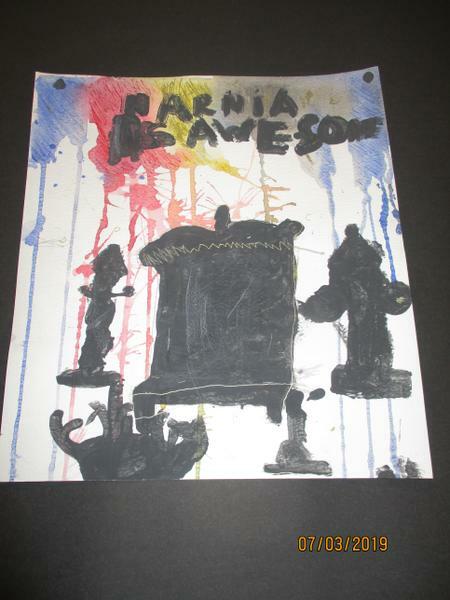 There was a particular focus on poetry this year, with each class writing poems inspired by Narnia and winter themes. 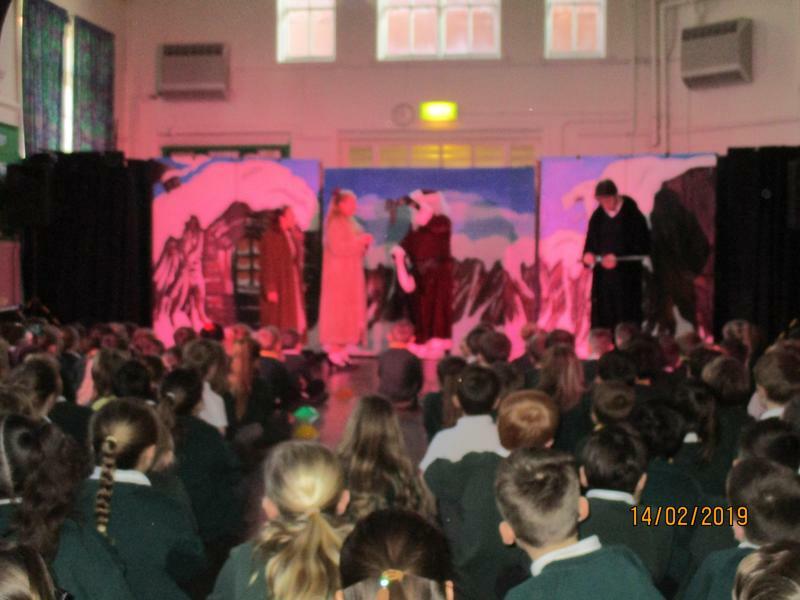 The week was a resounding success and thoroughly enjoyed by everyone! 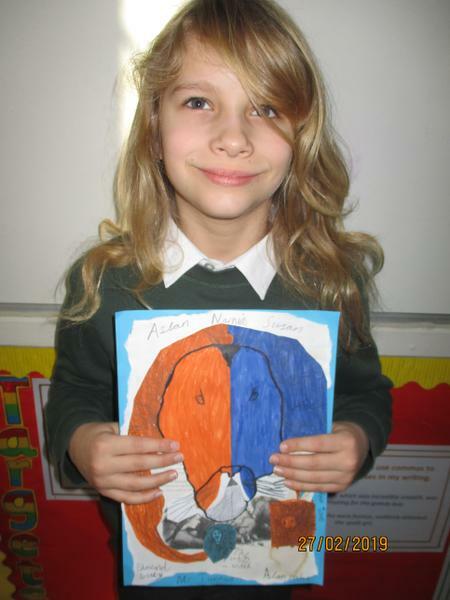 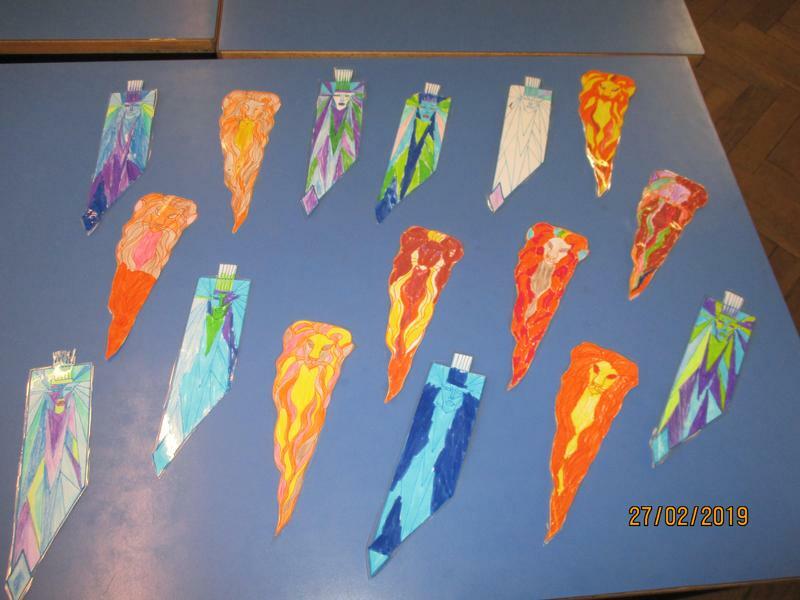 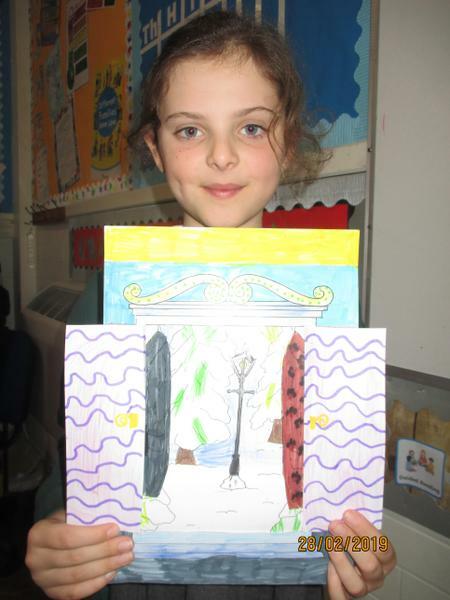 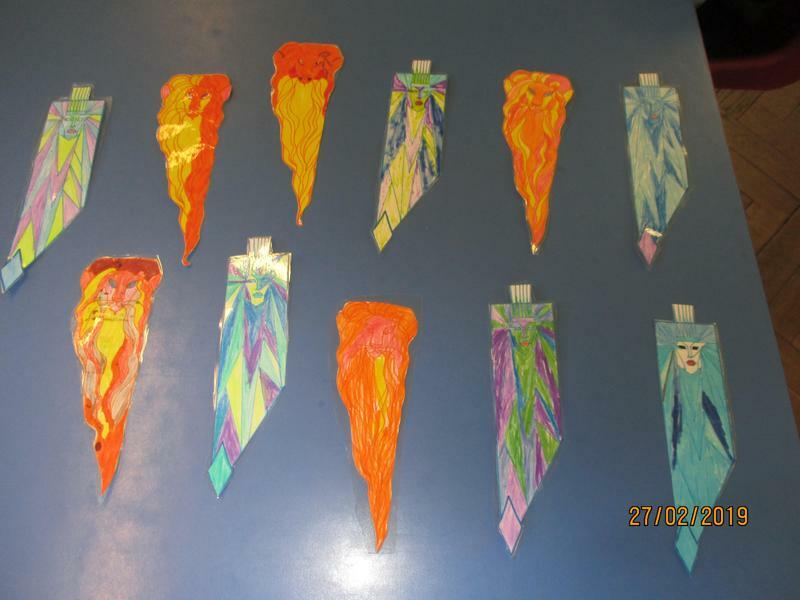 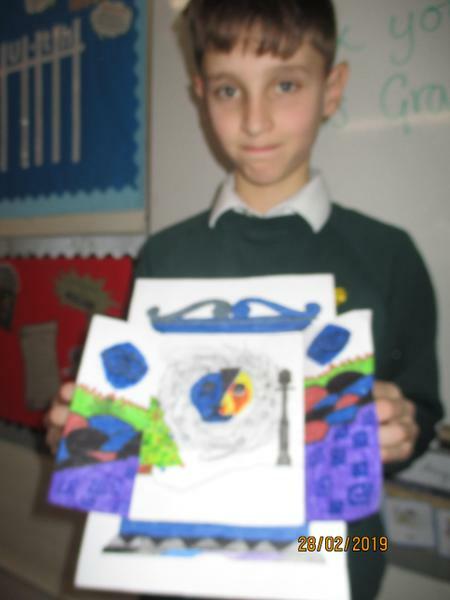 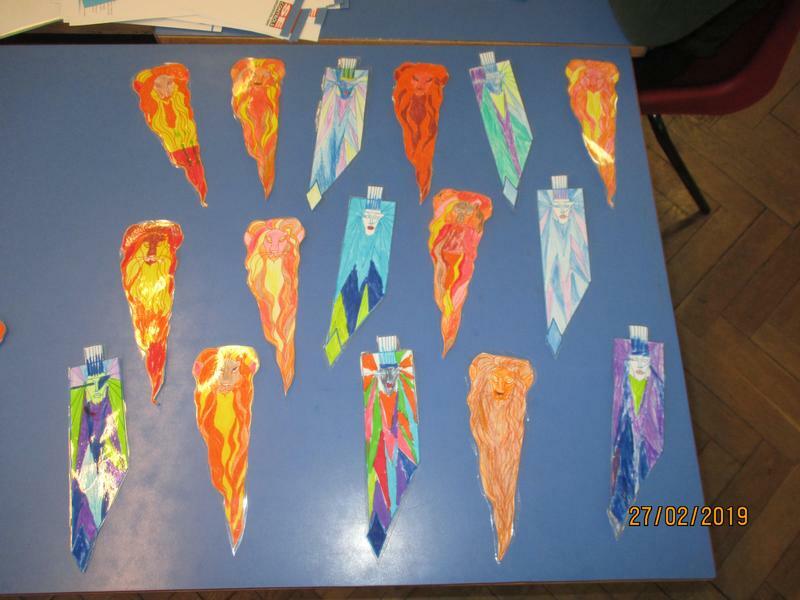 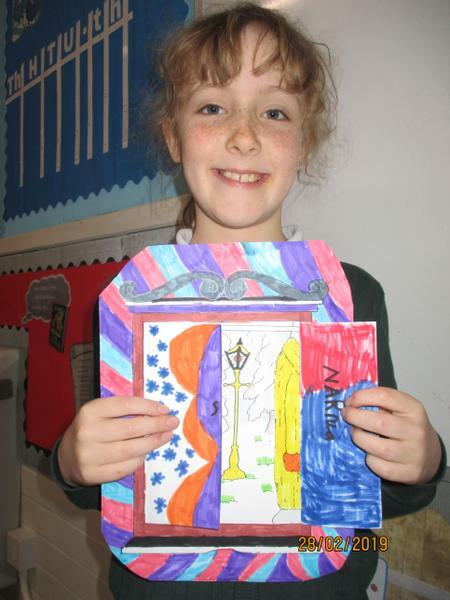 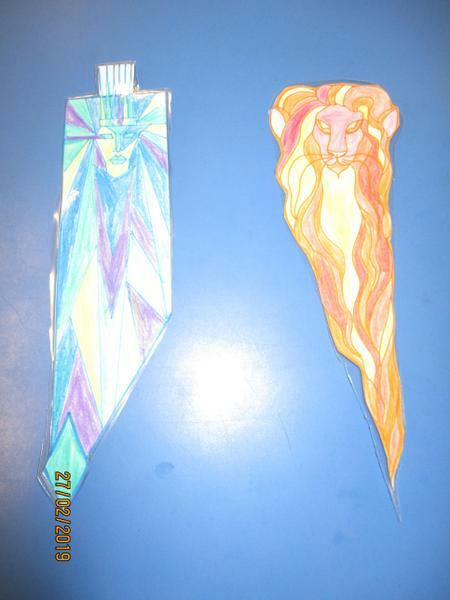 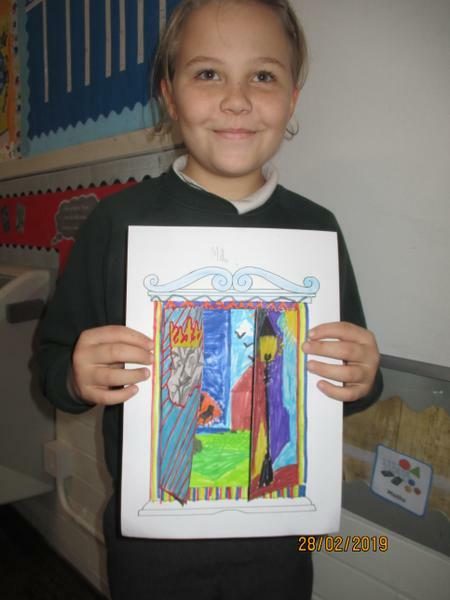 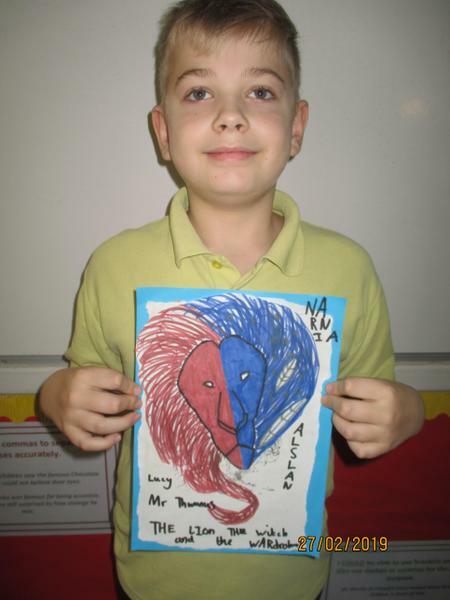 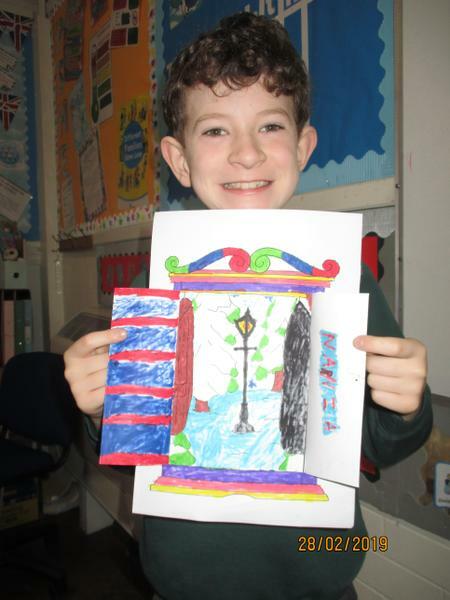 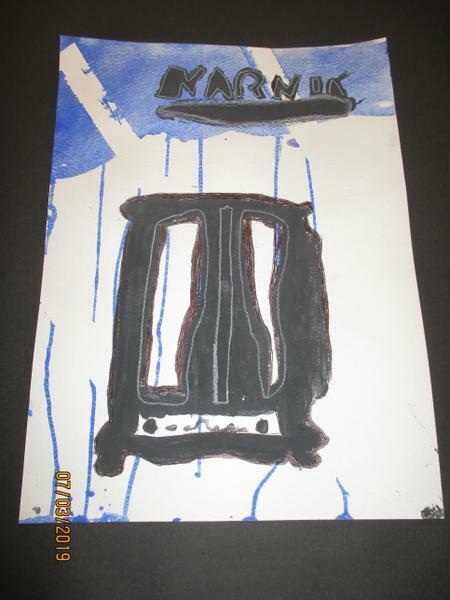 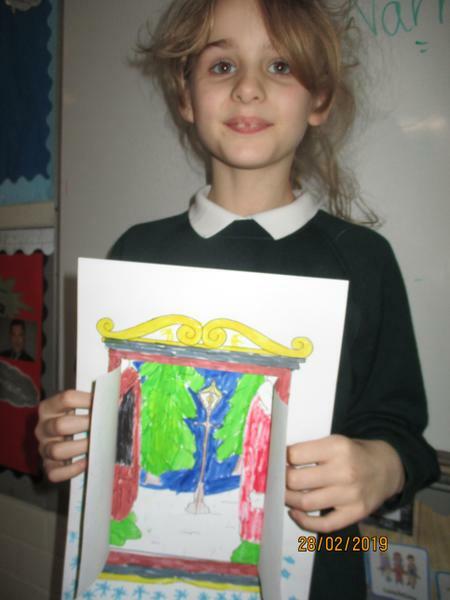 Year 3 made bookmarks based on the White Witch and Aslan using monochromatic, hot and cold colours. 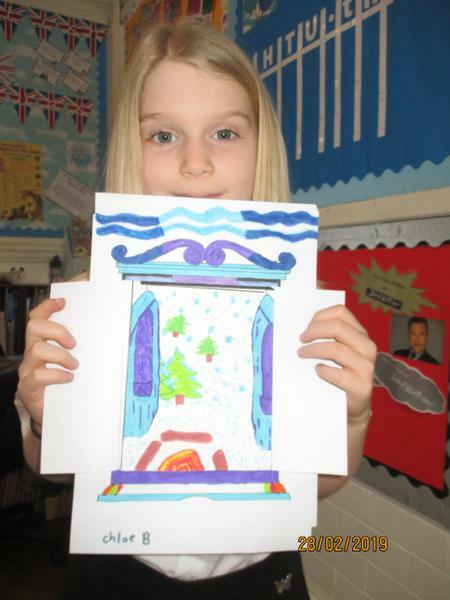 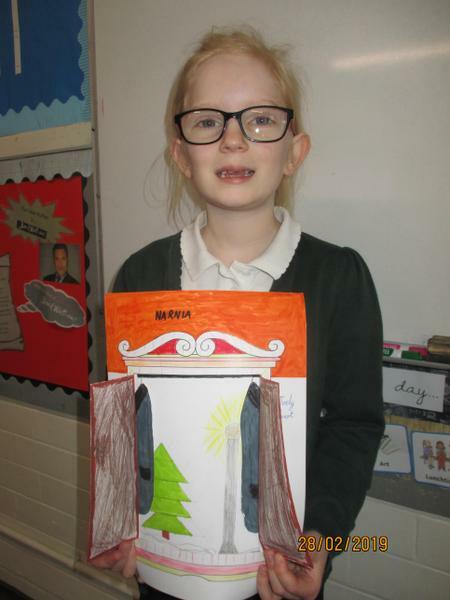 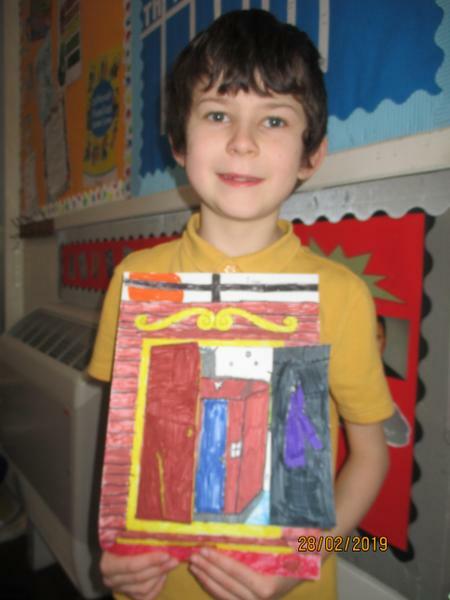 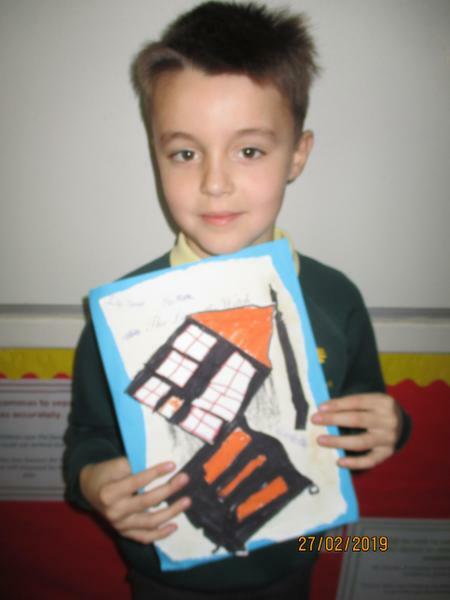 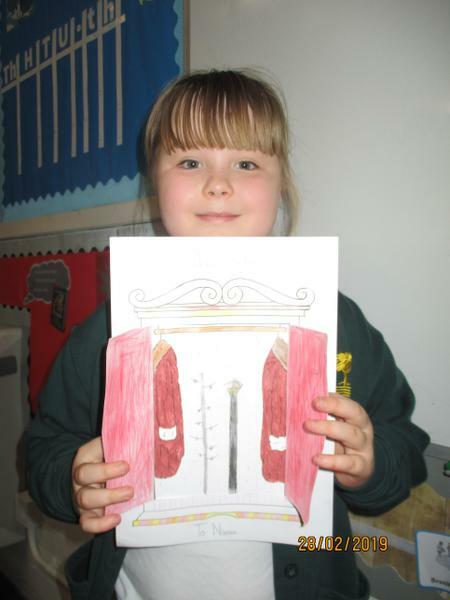 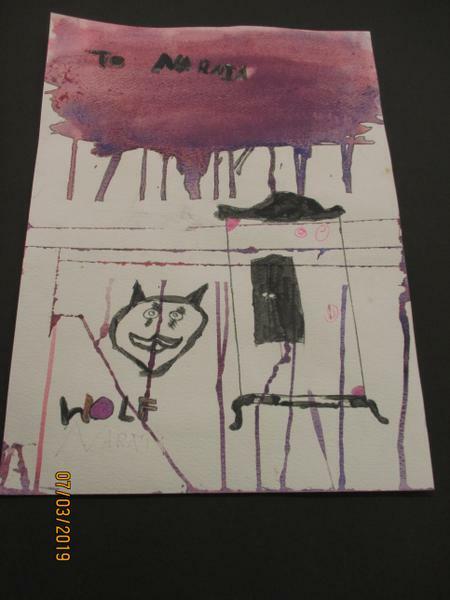 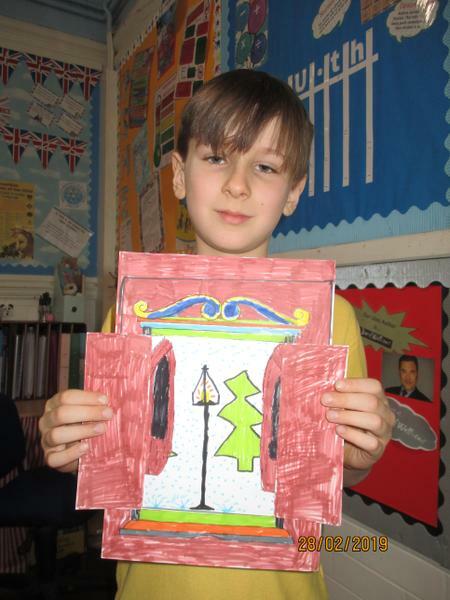 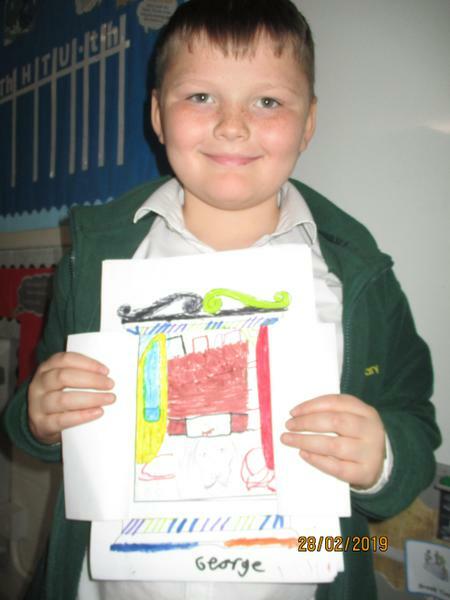 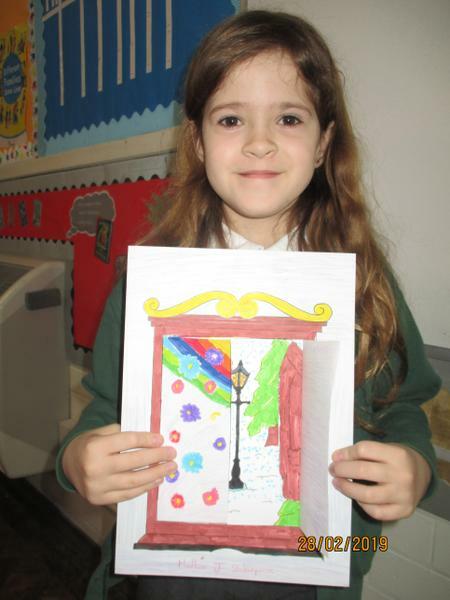 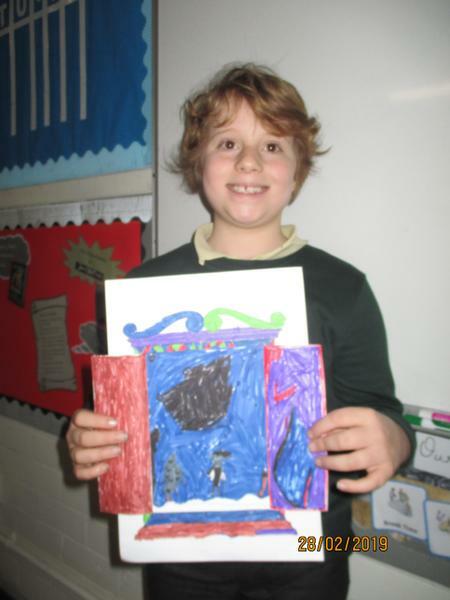 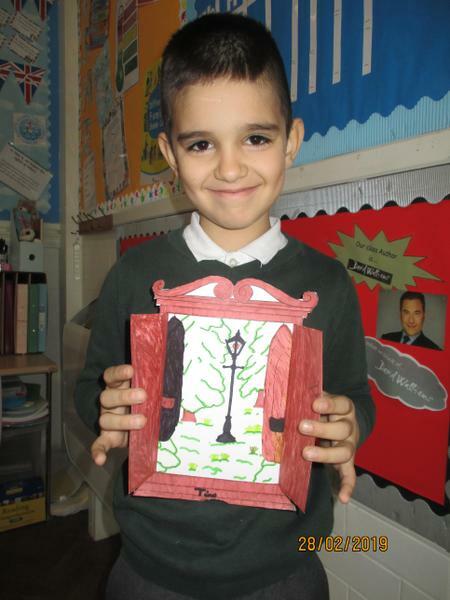 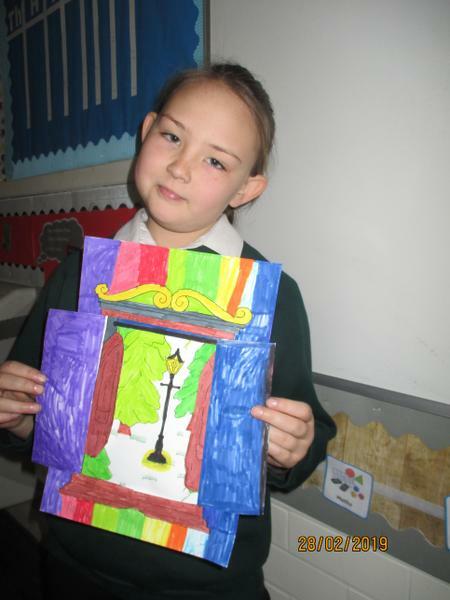 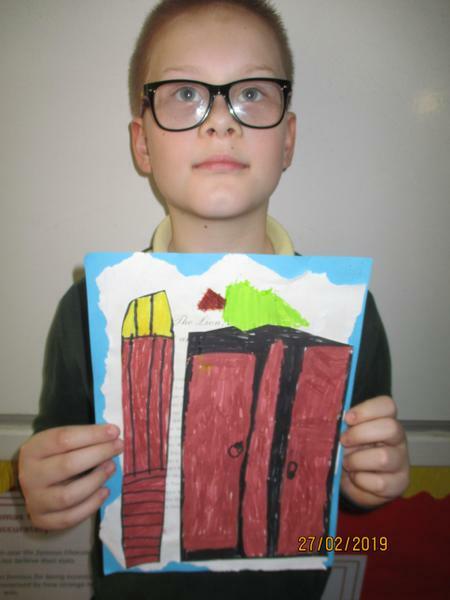 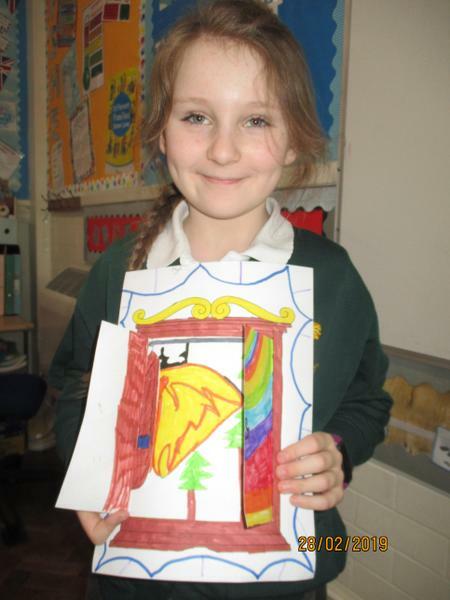 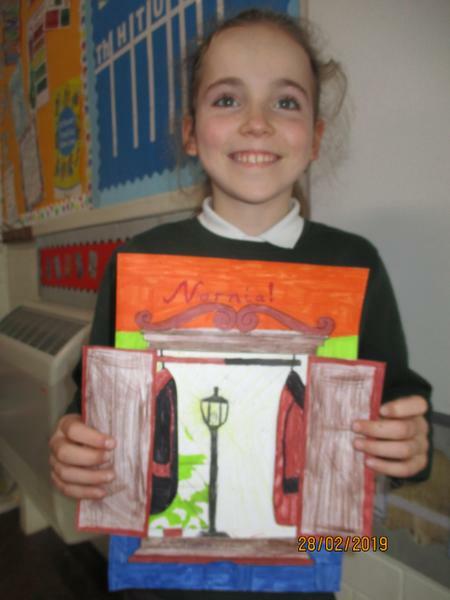 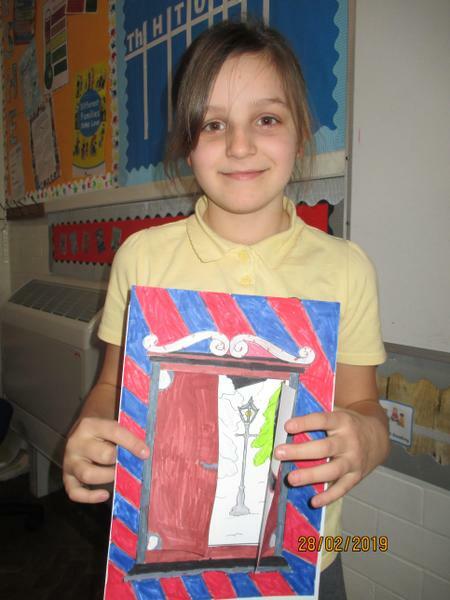 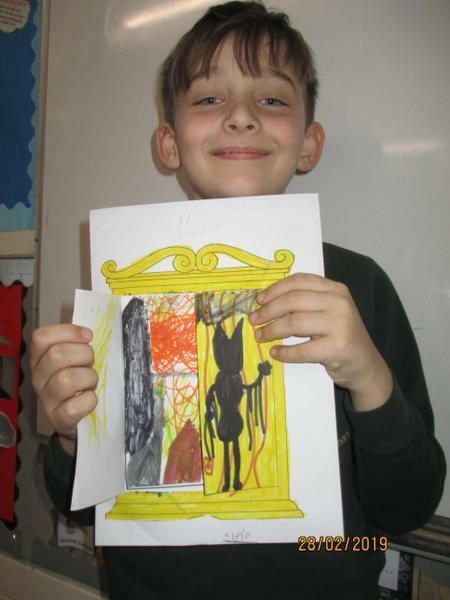 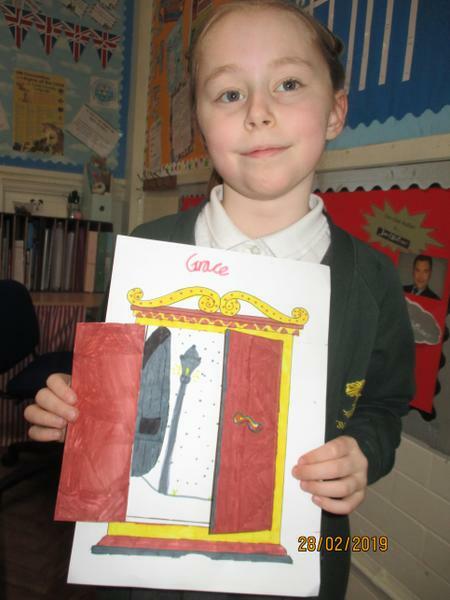 Year 4 made pop-up wardrobes, with opening doors, fur coats and background scenes. 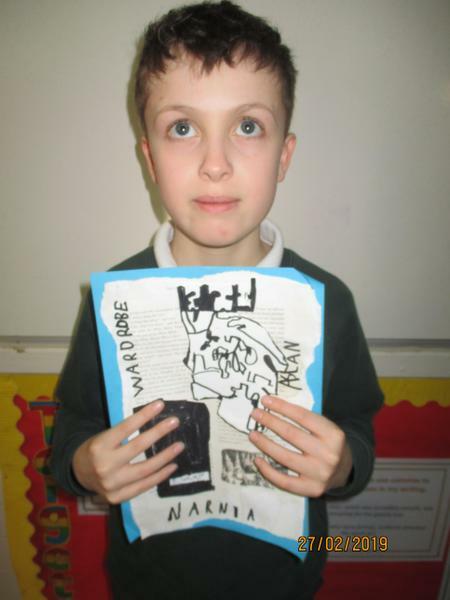 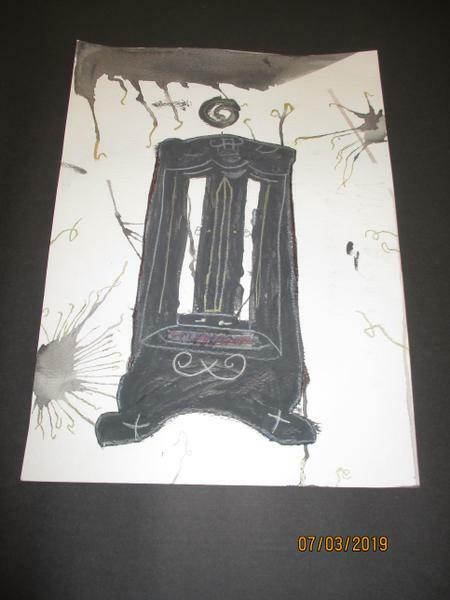 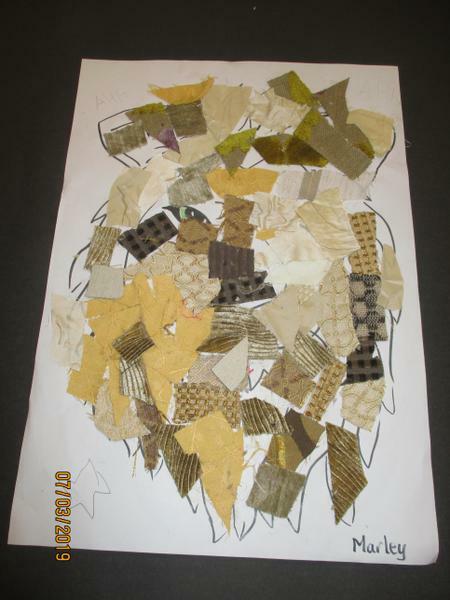 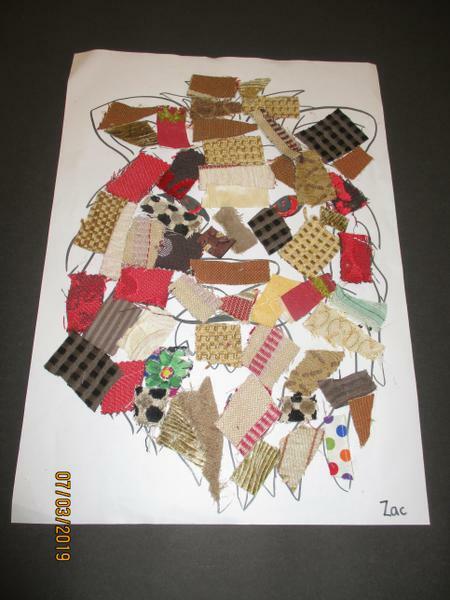 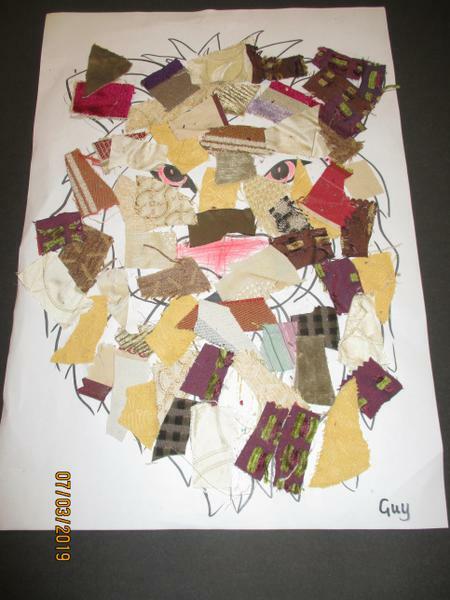 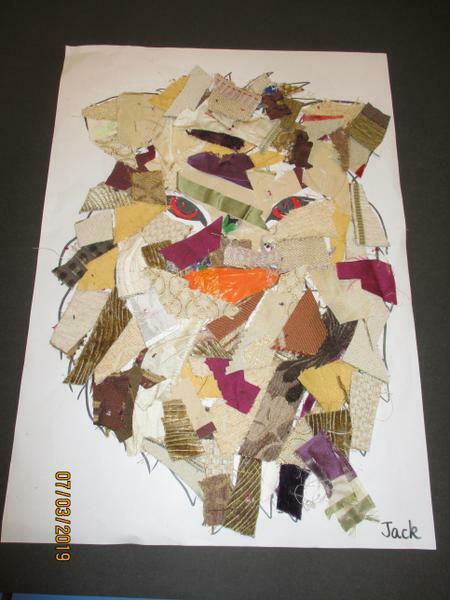 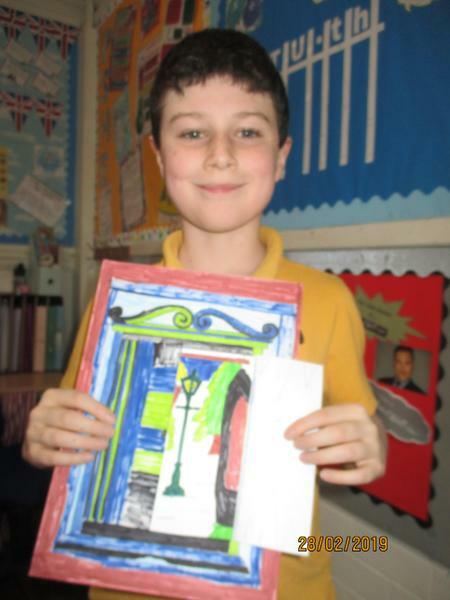 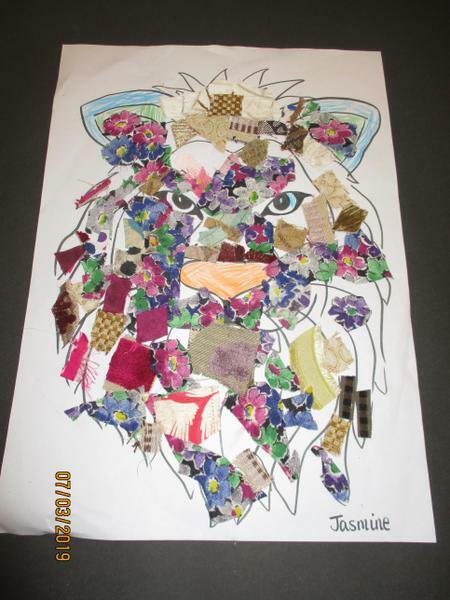 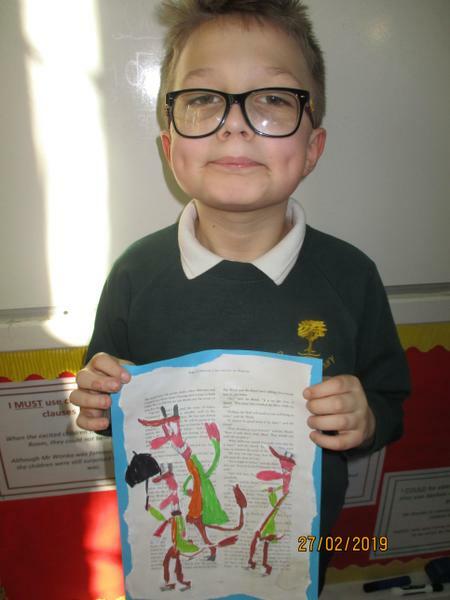 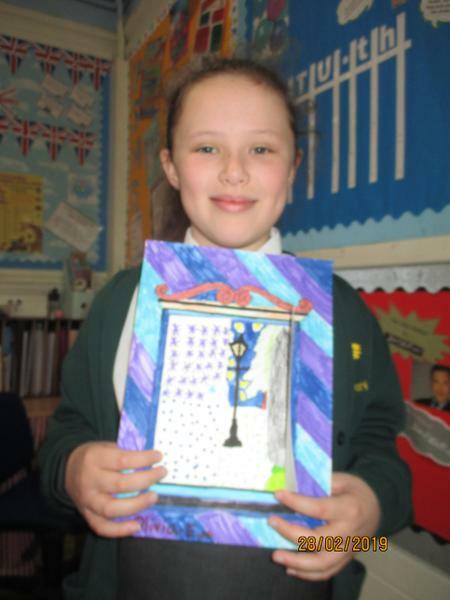 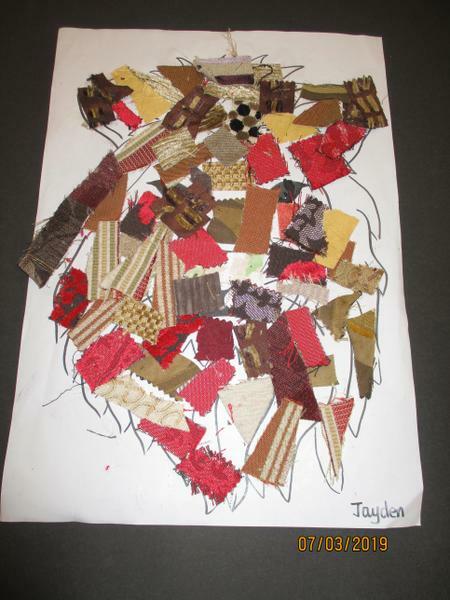 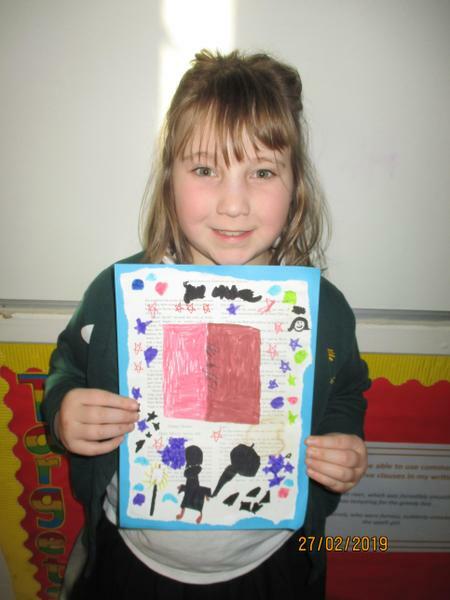 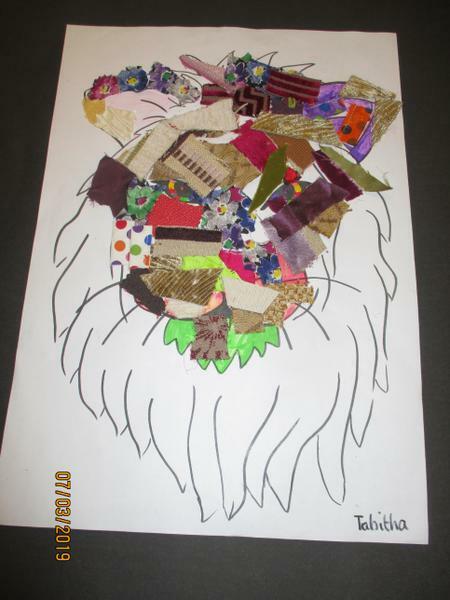 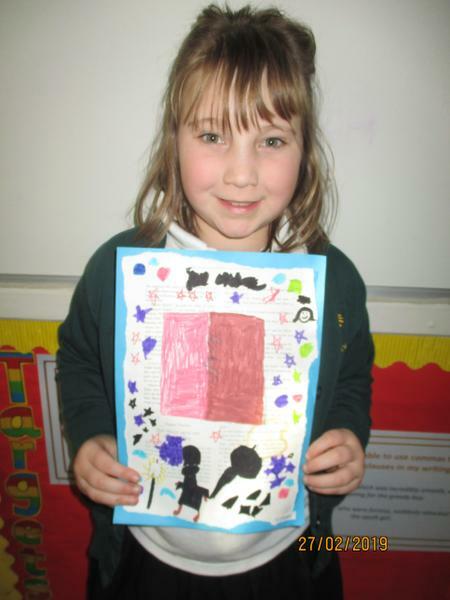 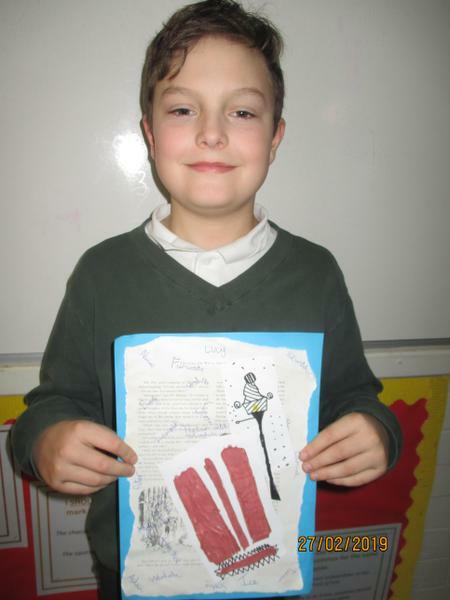 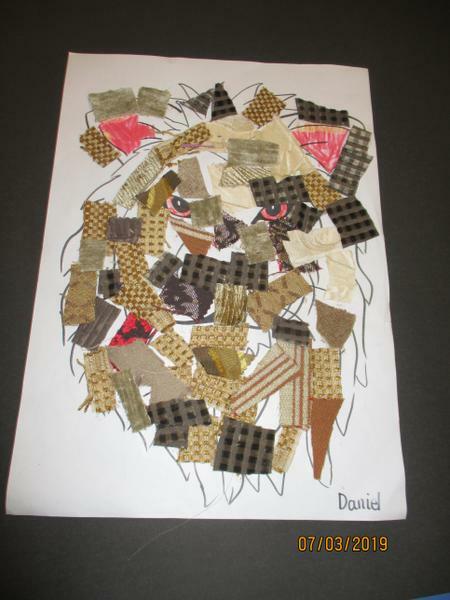 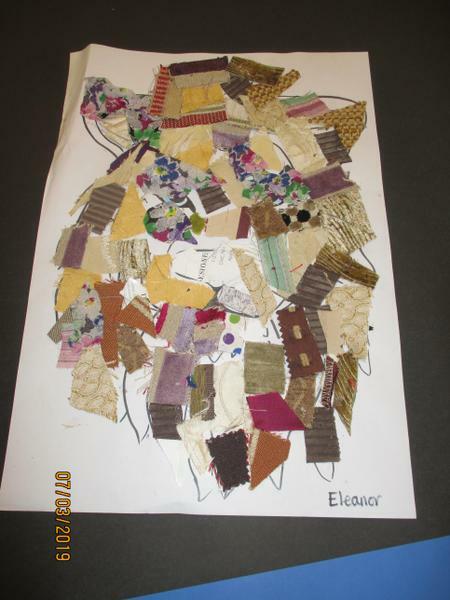 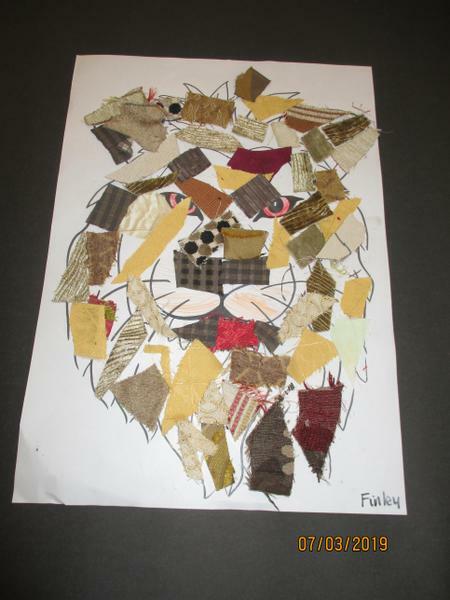 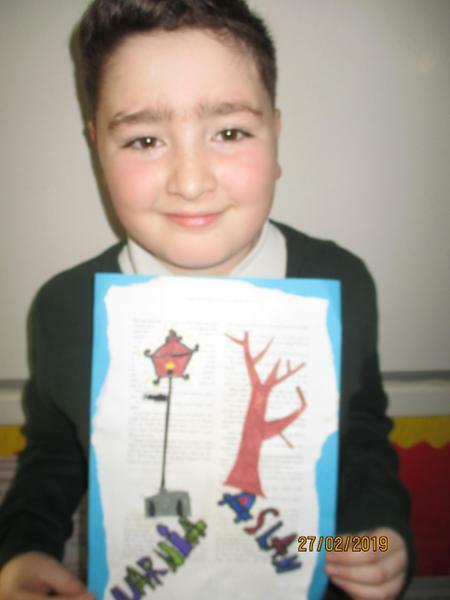 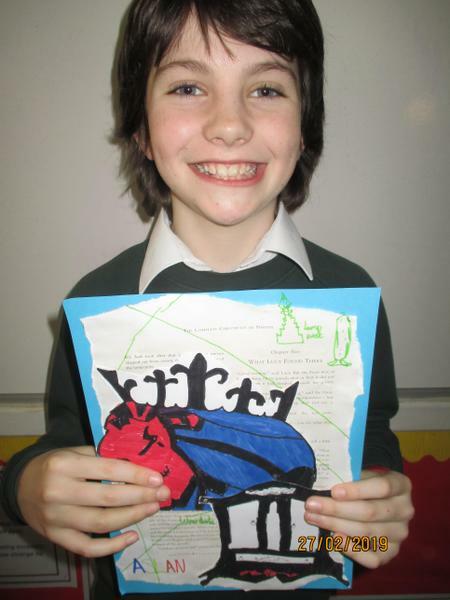 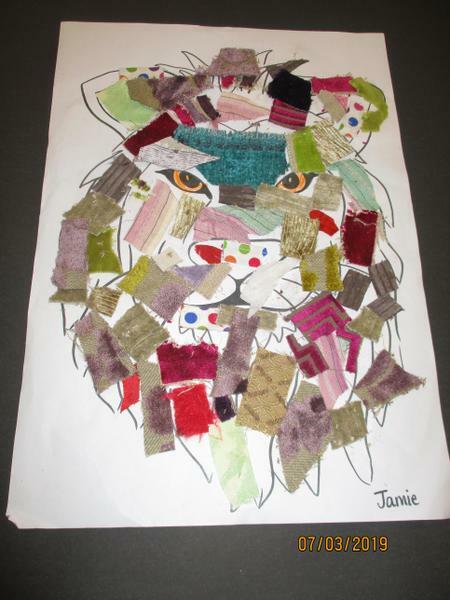 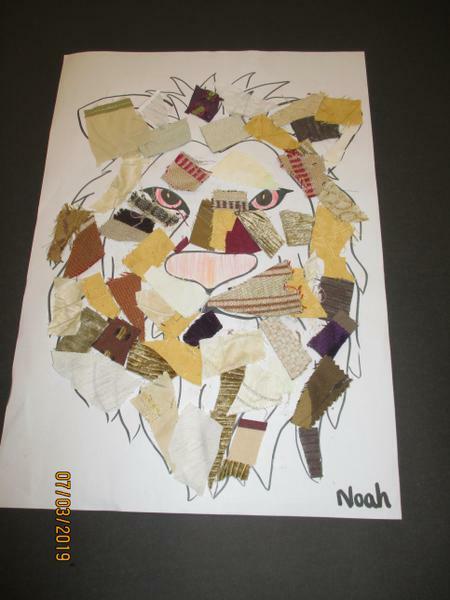 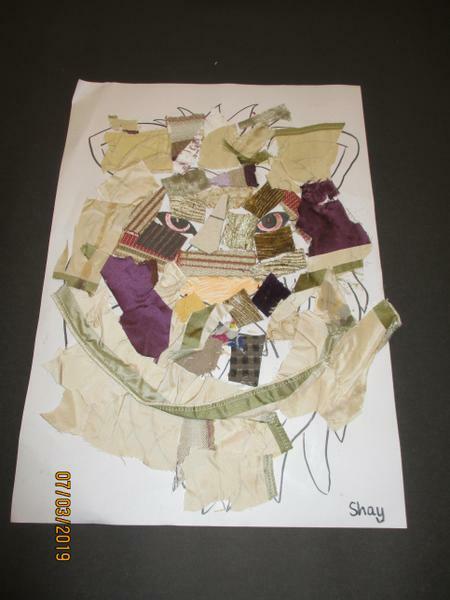 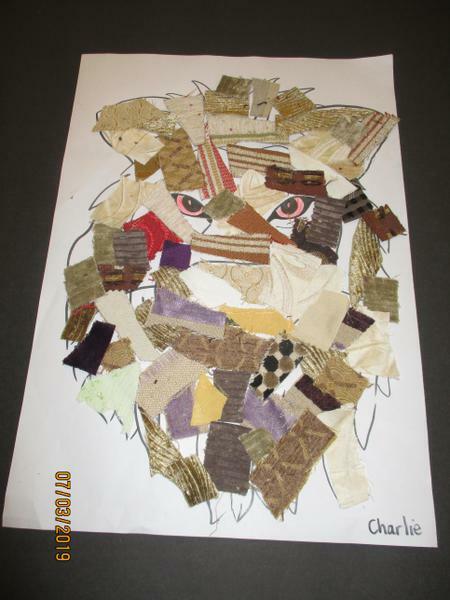 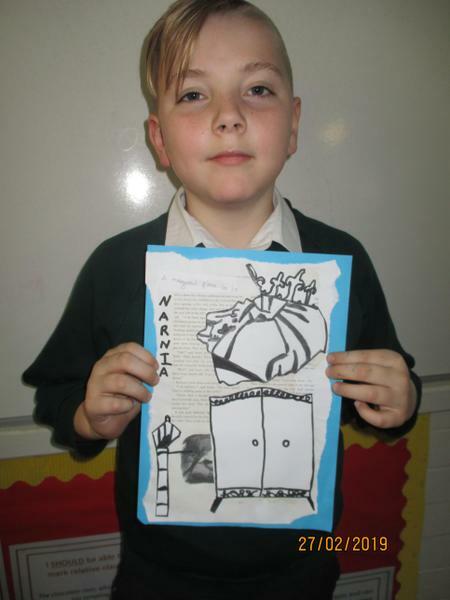 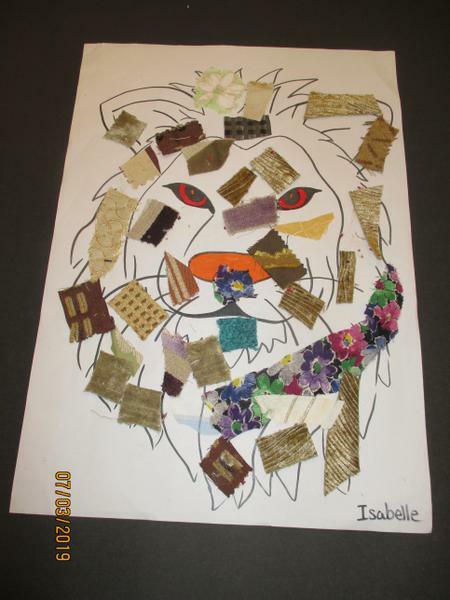 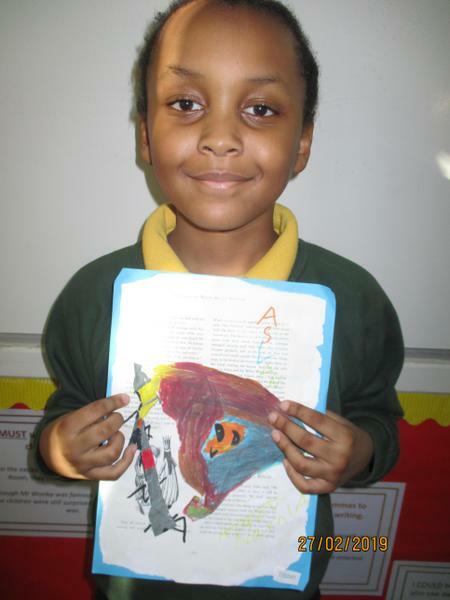 Year 5 made collages, with tea stained book pages and drawn pictures. 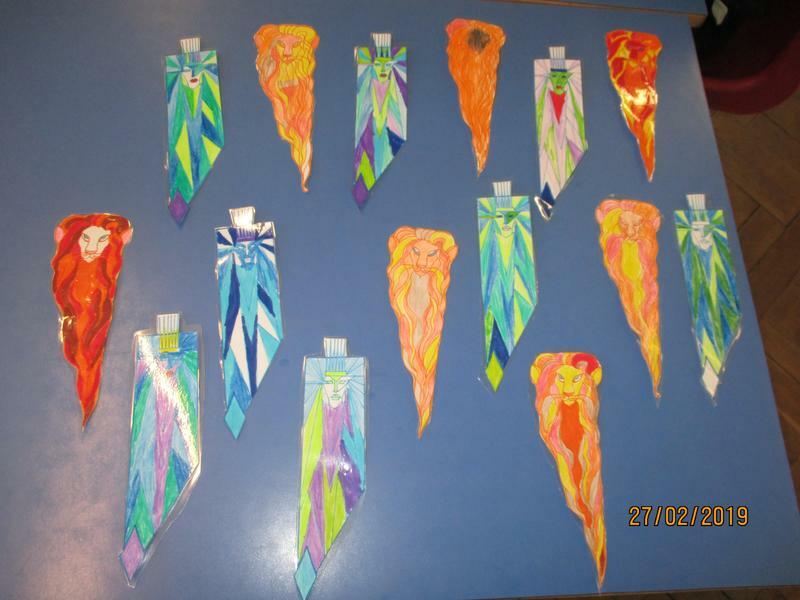 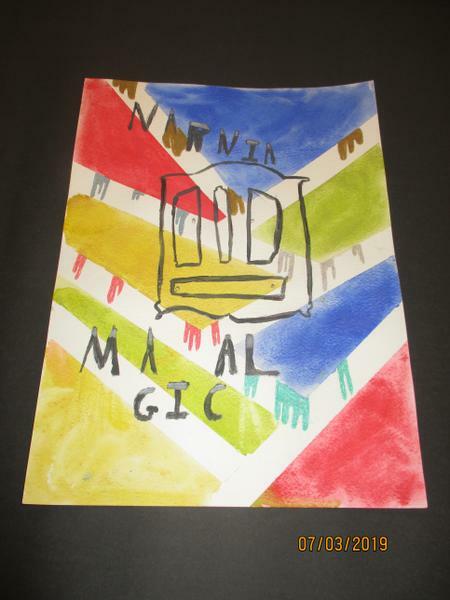 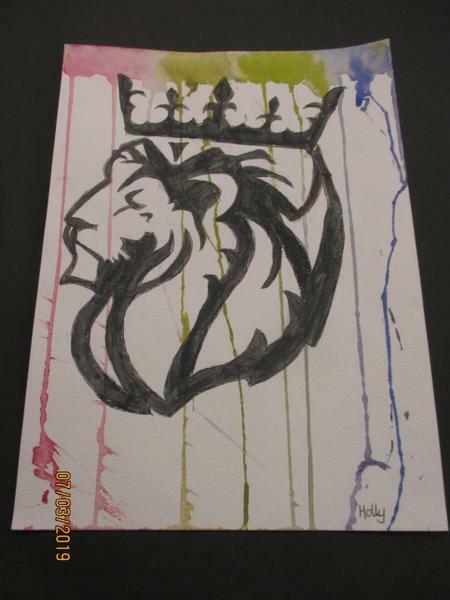 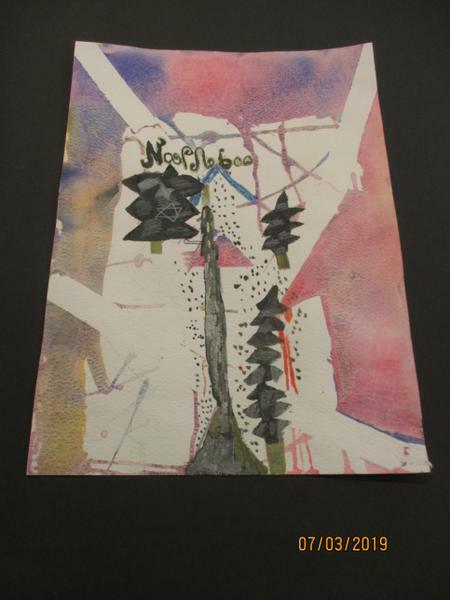 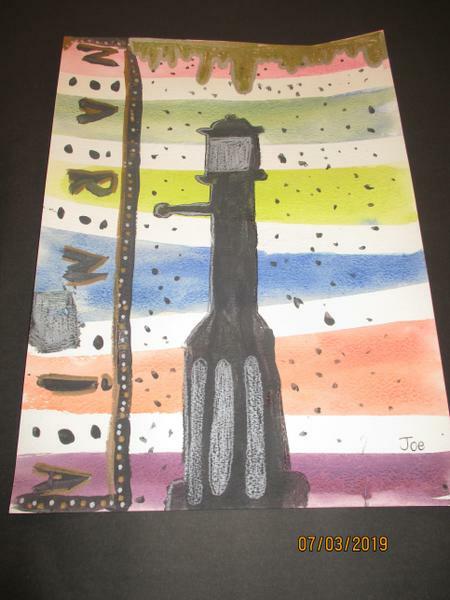 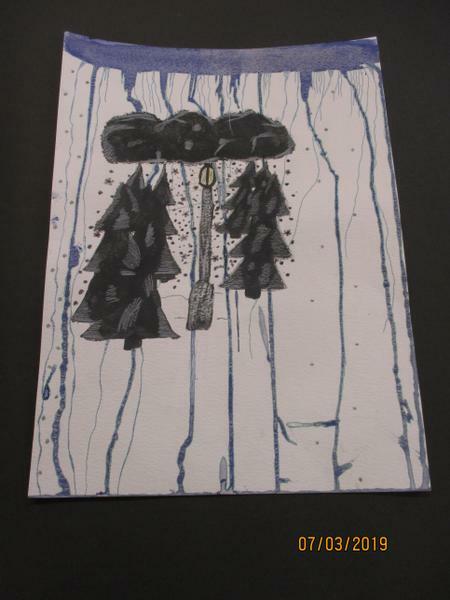 Year 6 used watercolour paint techniques to create drip and pattern paintings with silhouettes.